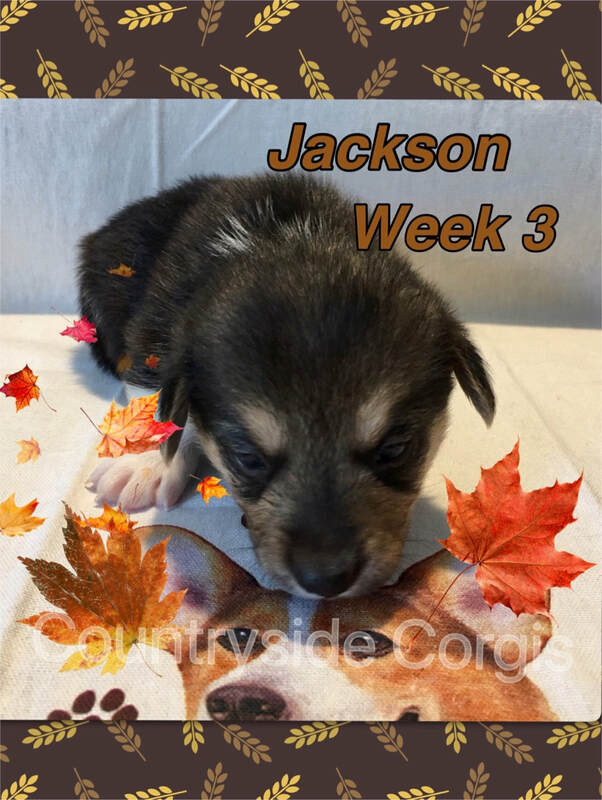 We are very pleased to announce Tilly & Loki had a beautiful litter of 9 healthy puppies born on September 2, 2018. 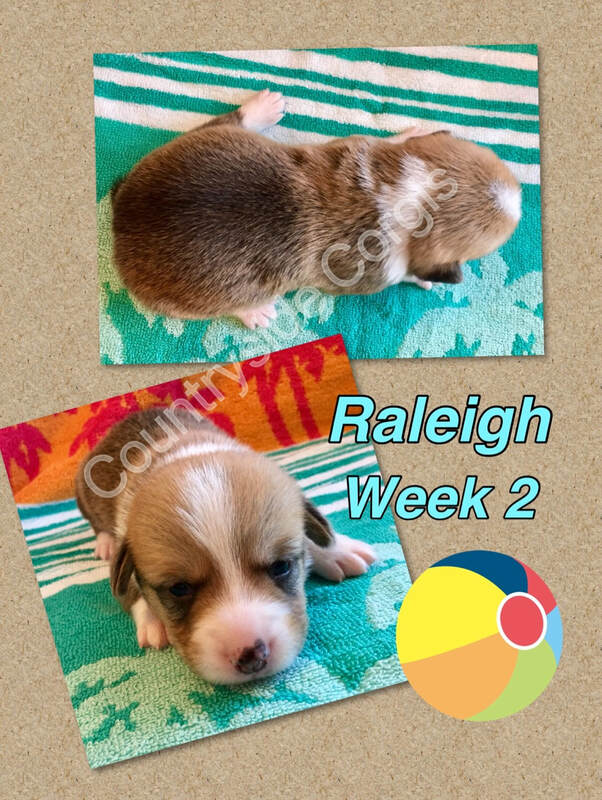 There are 6 males (4 tri colors, 2 reds) and 3 females (2 tri colors, 1 red). 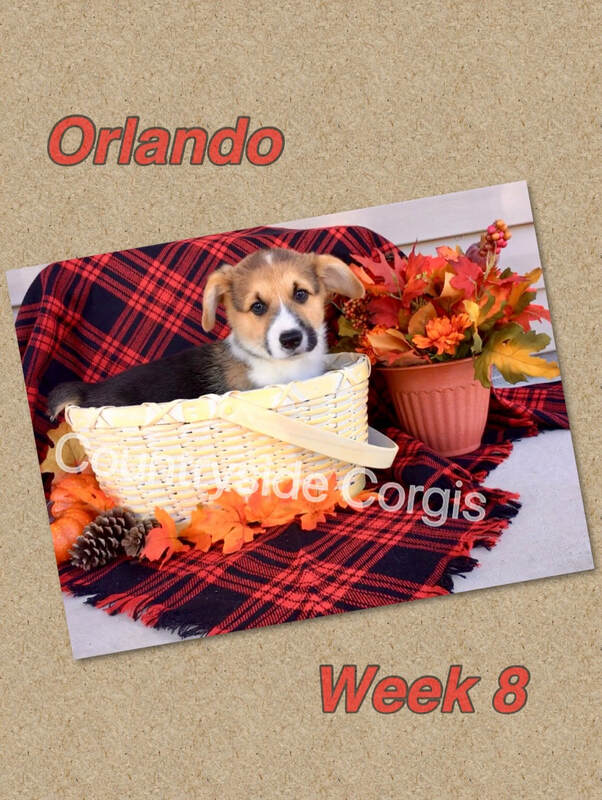 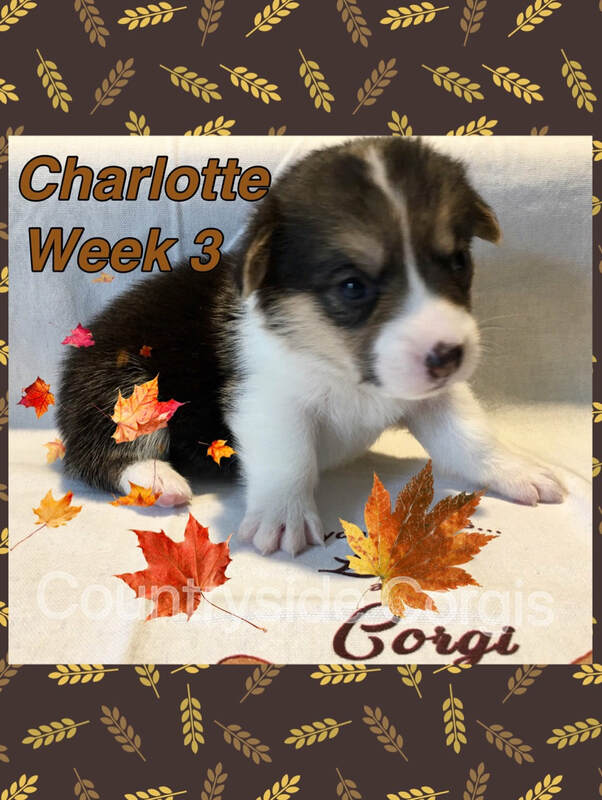 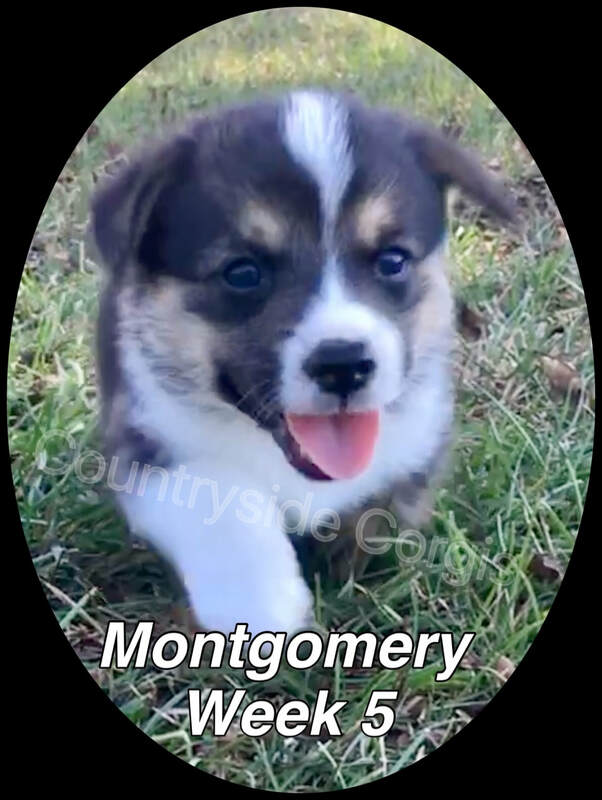 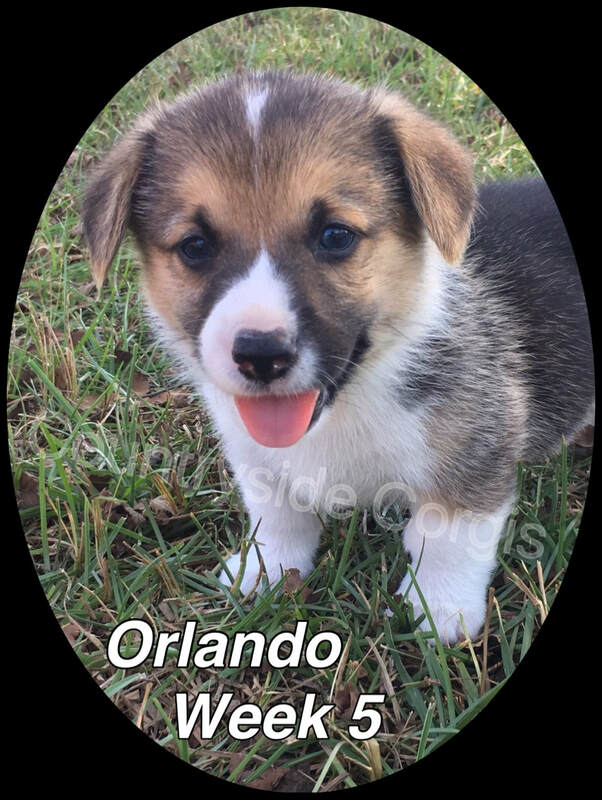 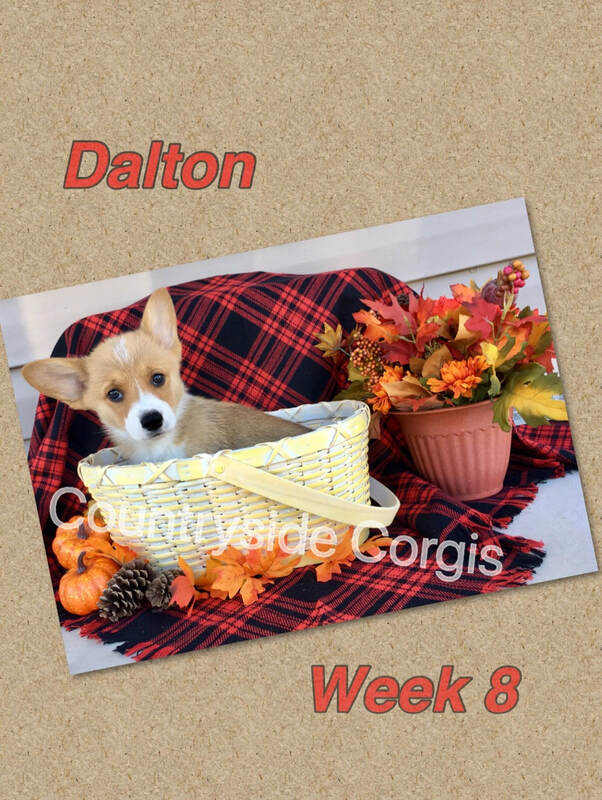 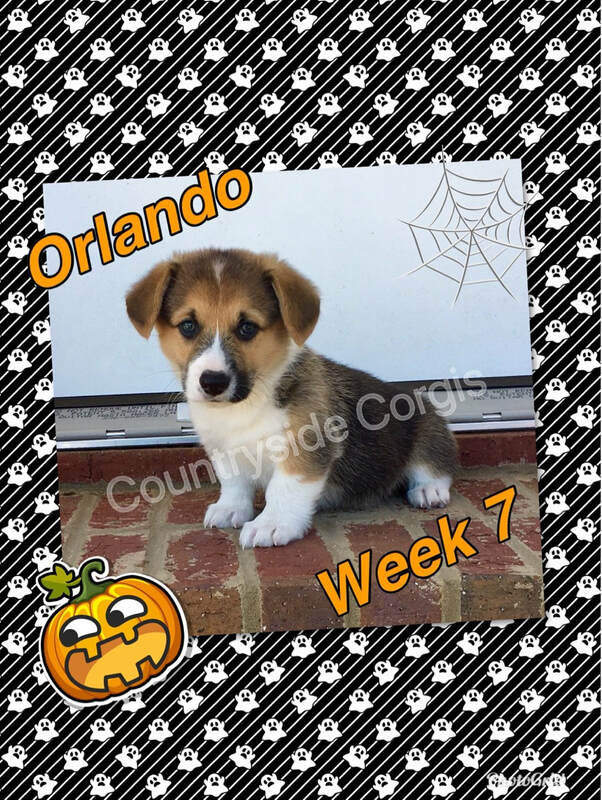 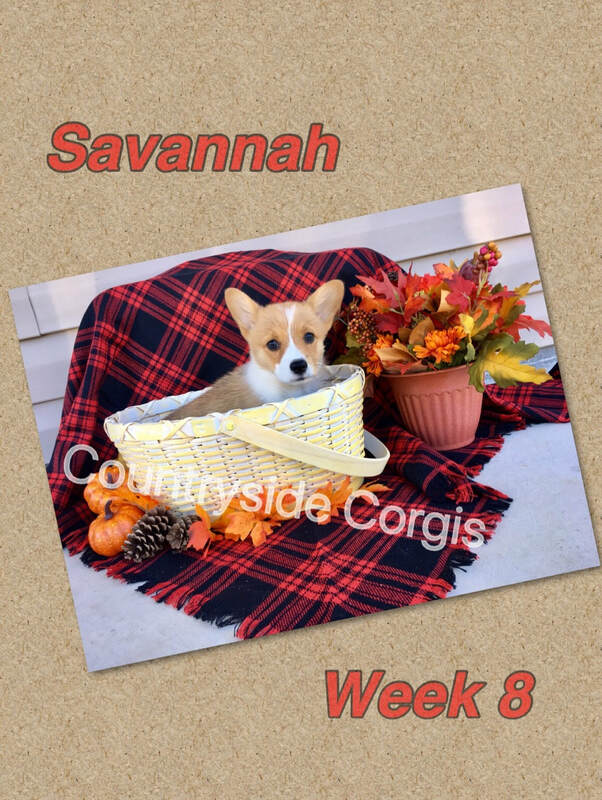 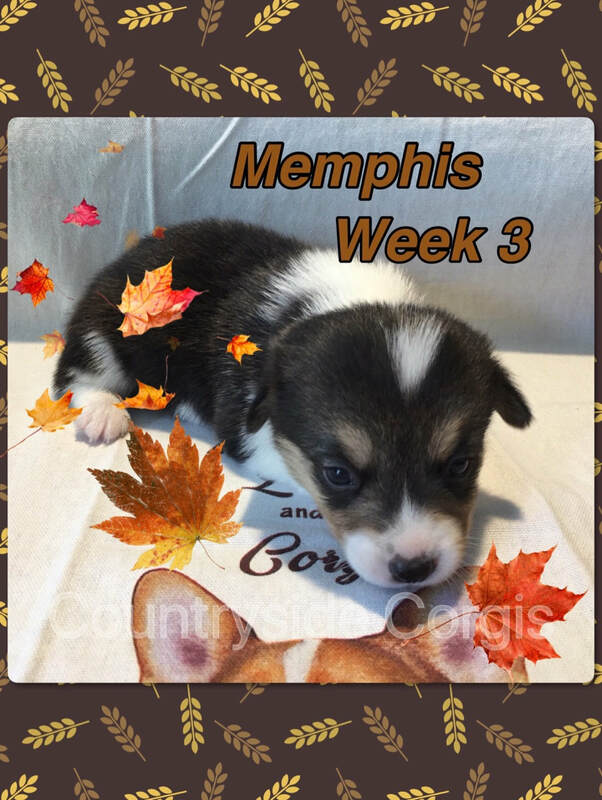 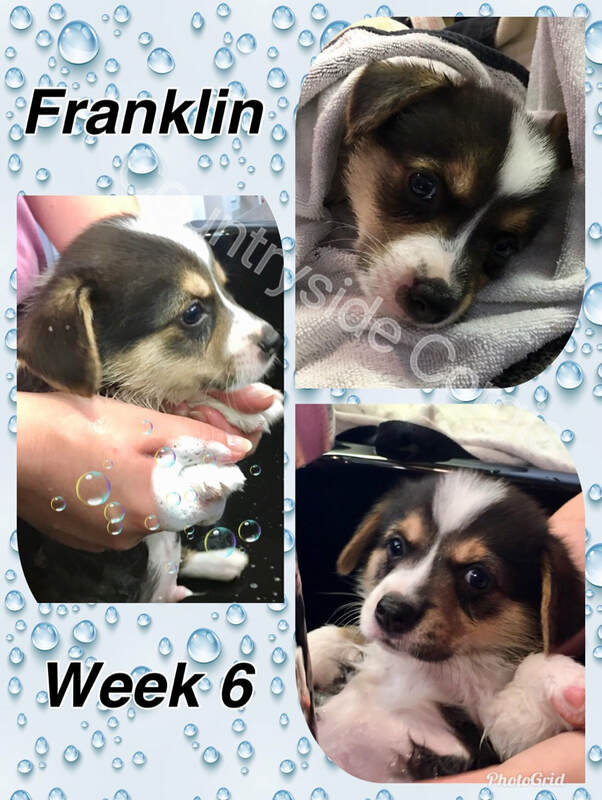 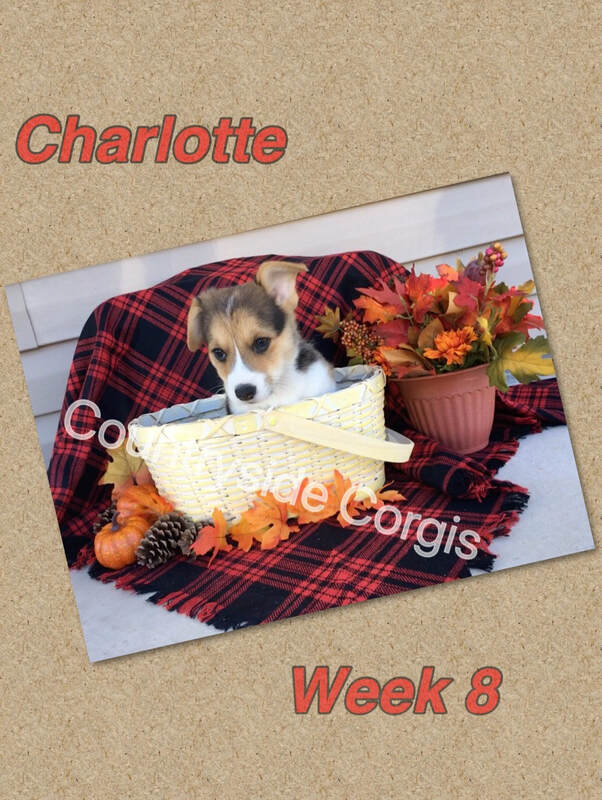 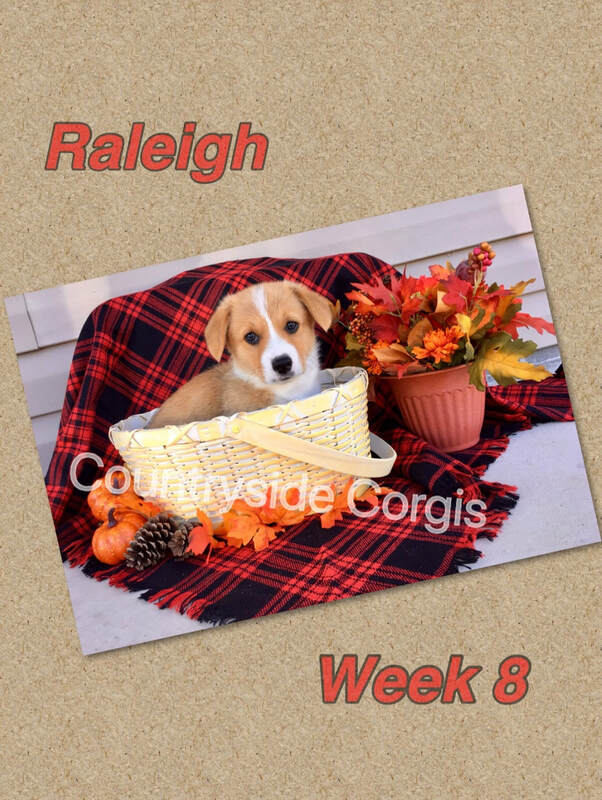 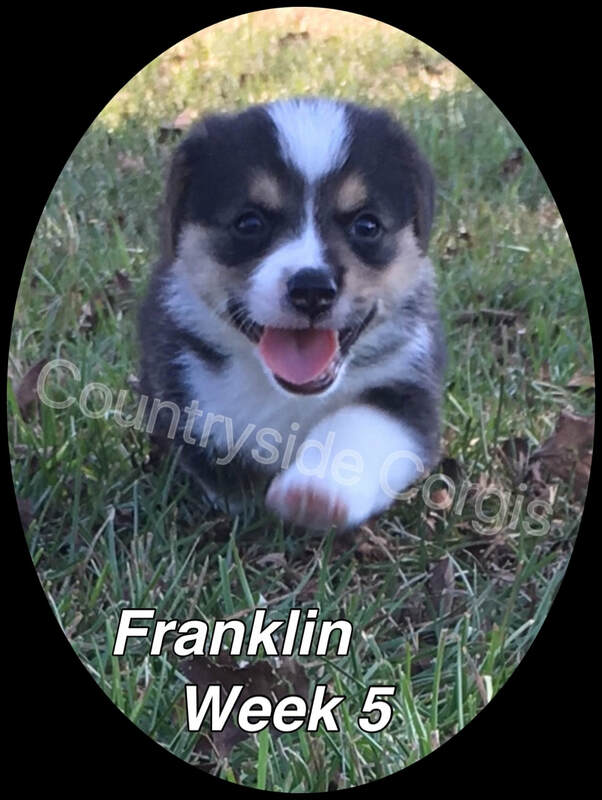 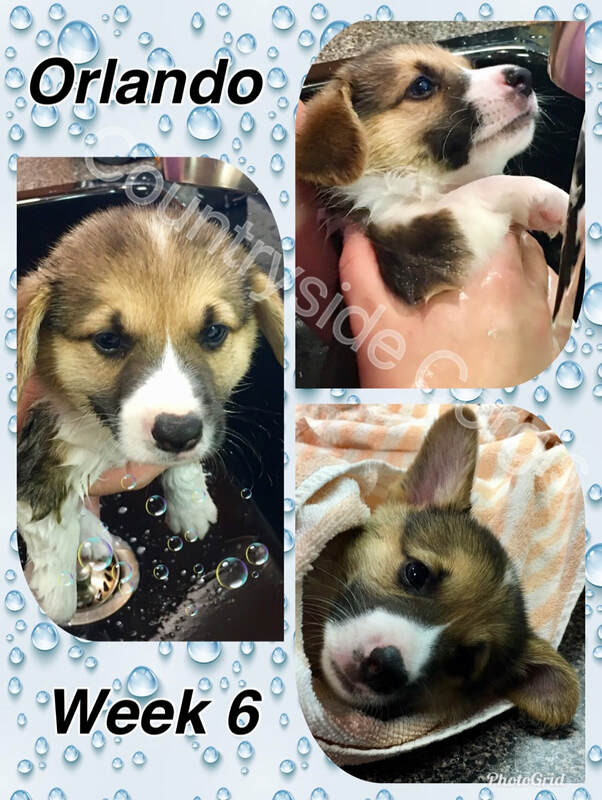 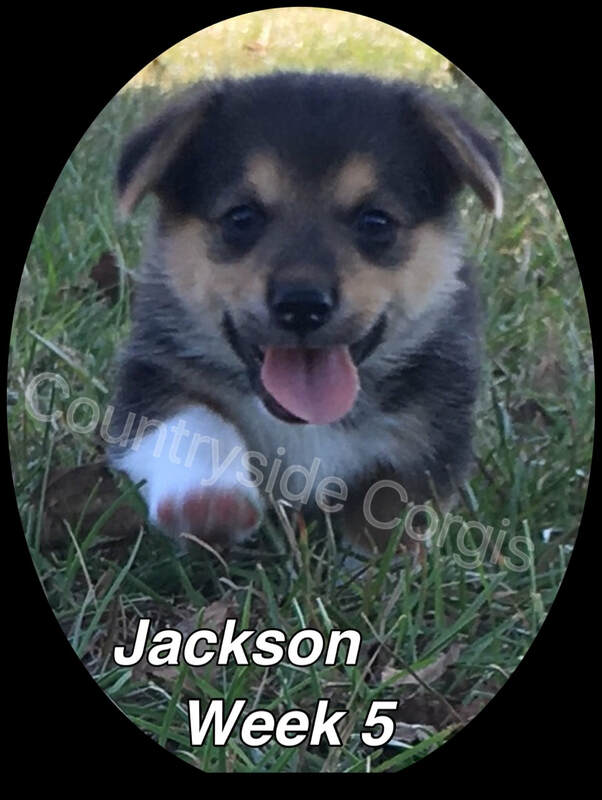 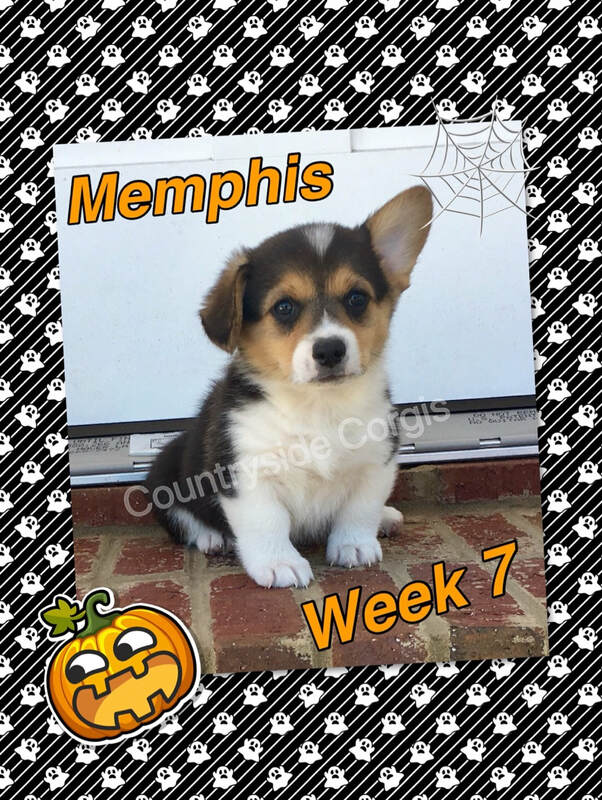 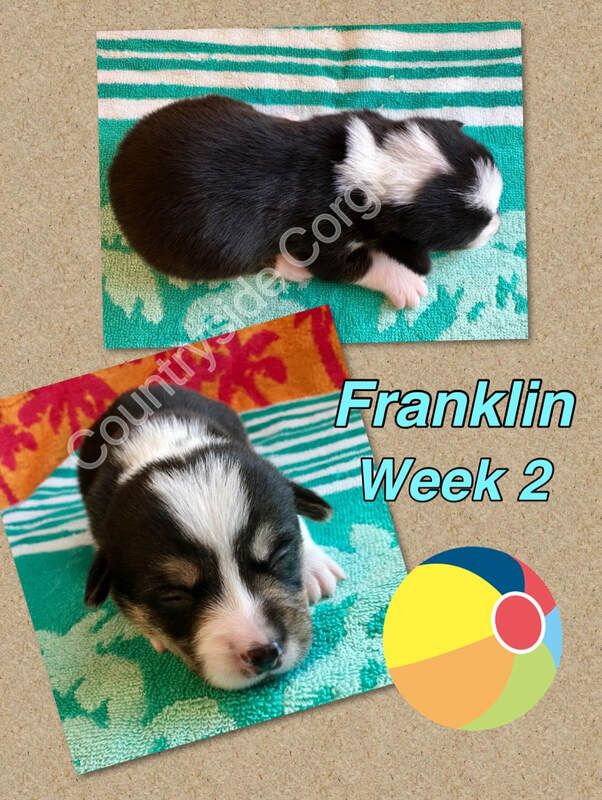 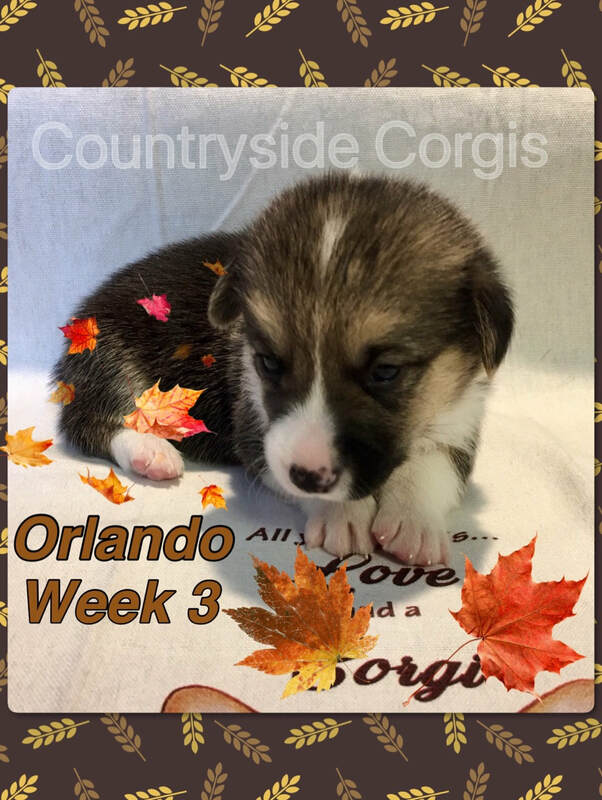 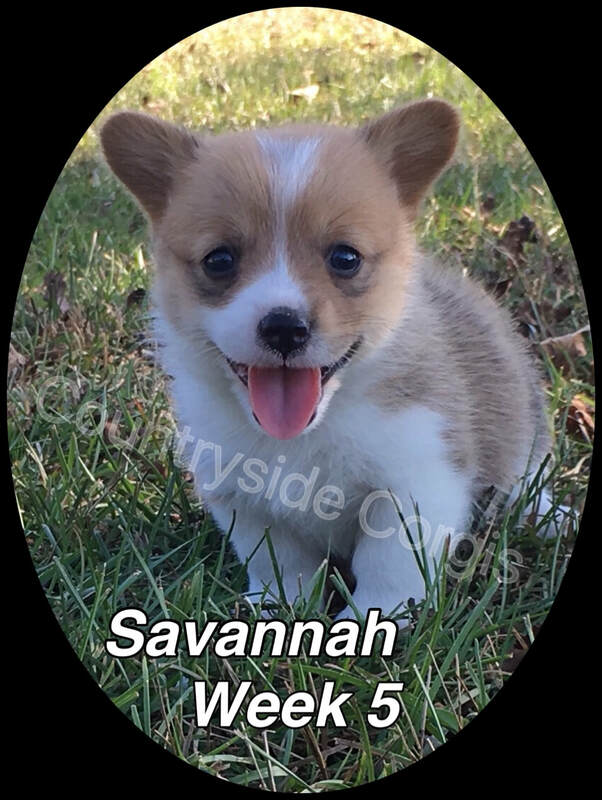 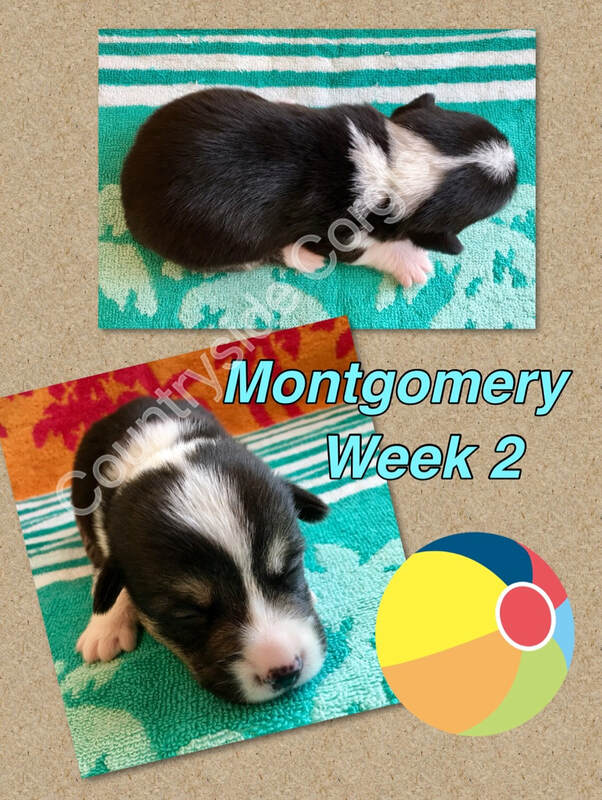 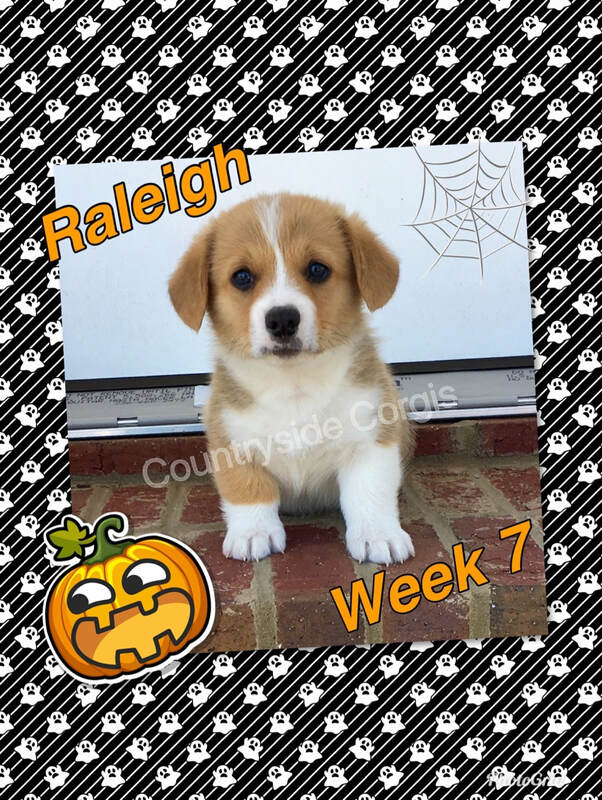 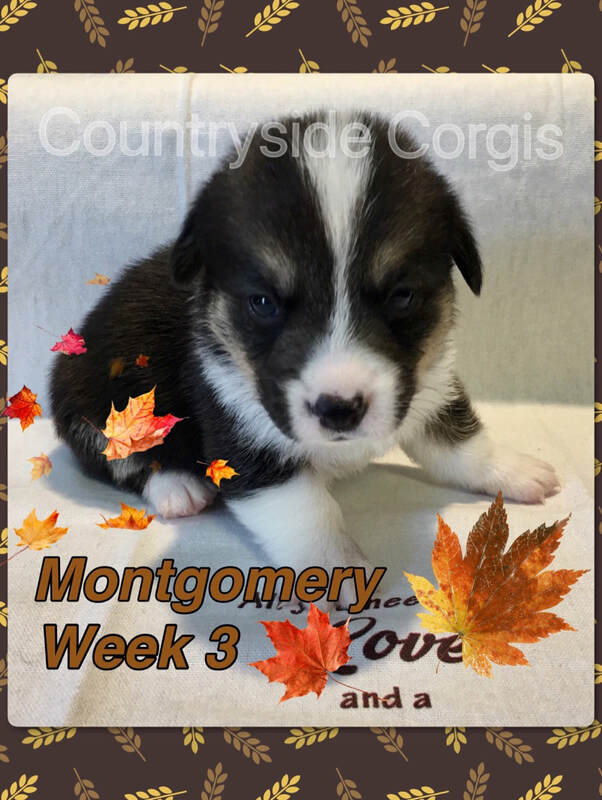 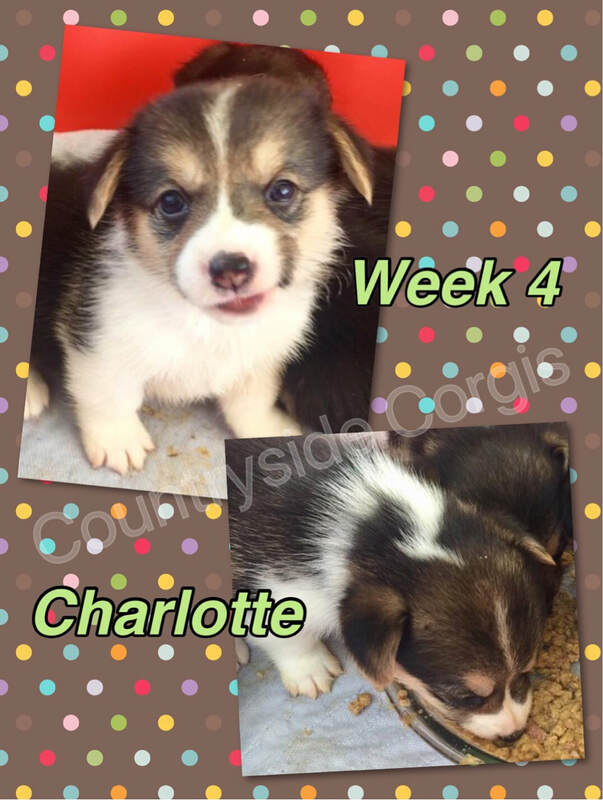 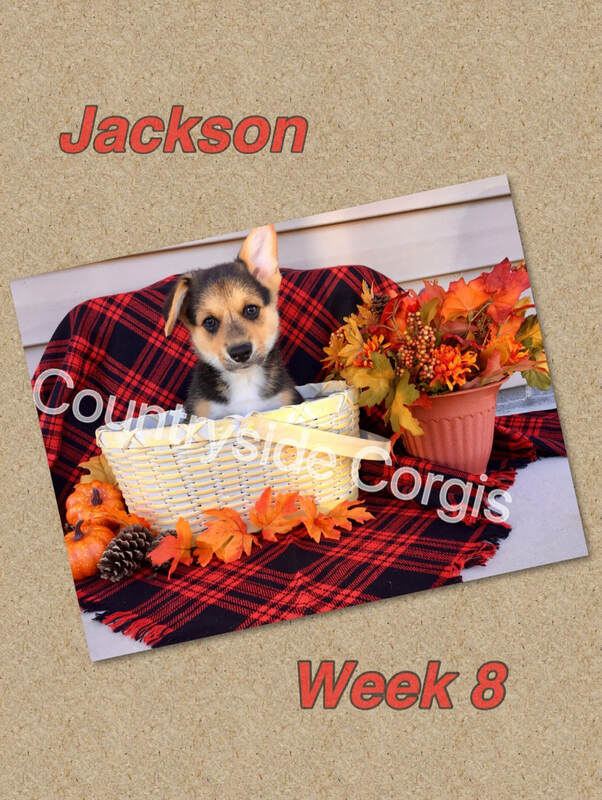 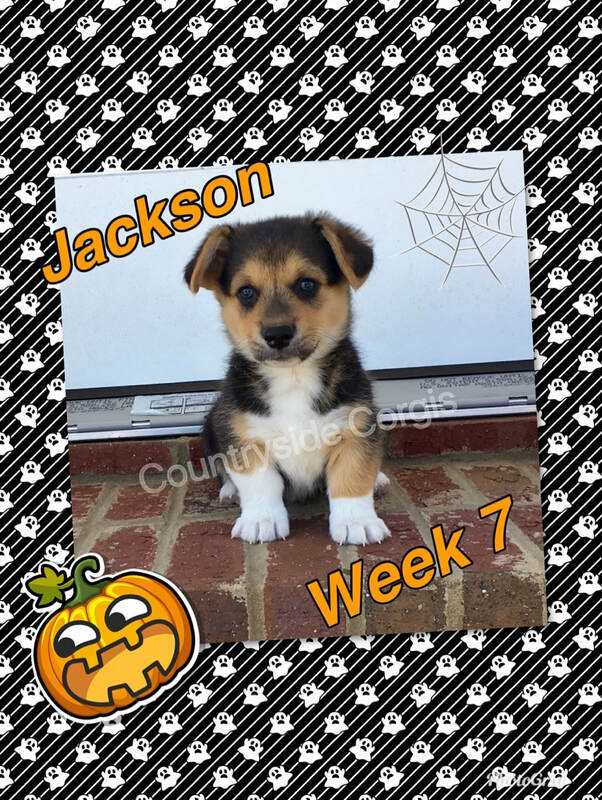 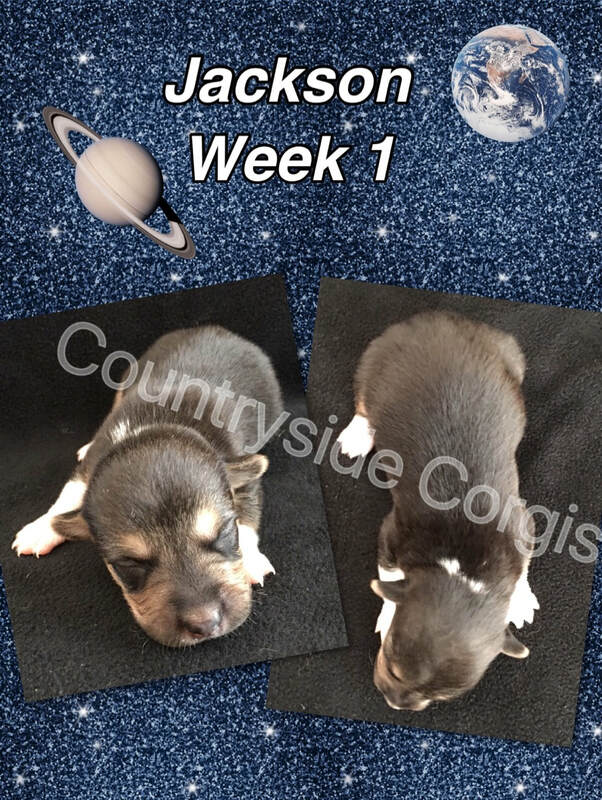 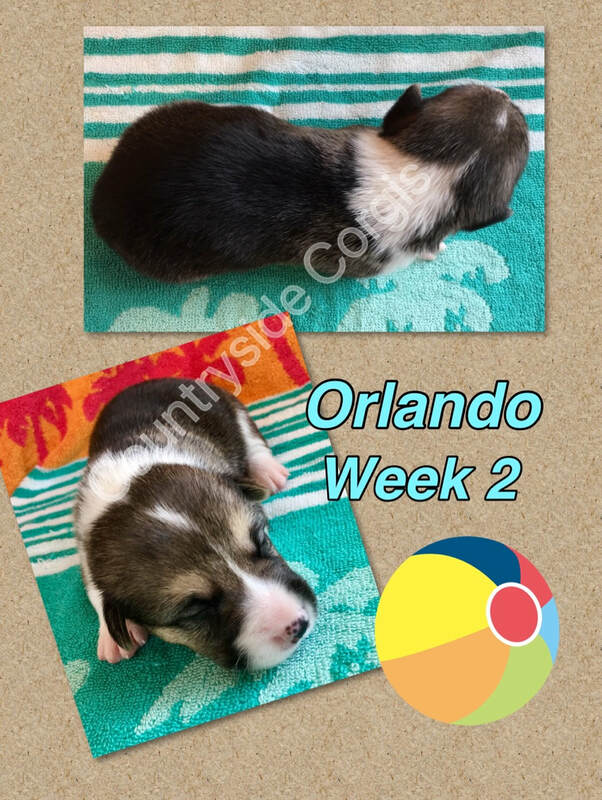 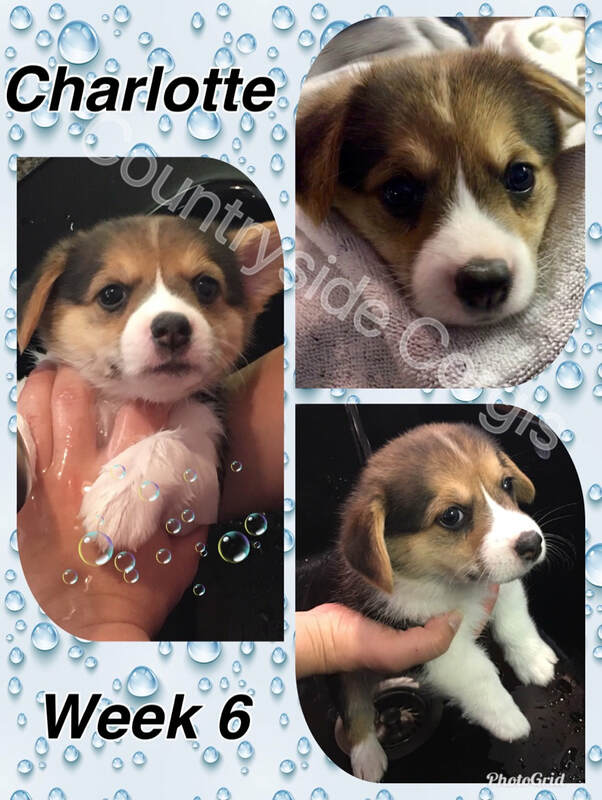 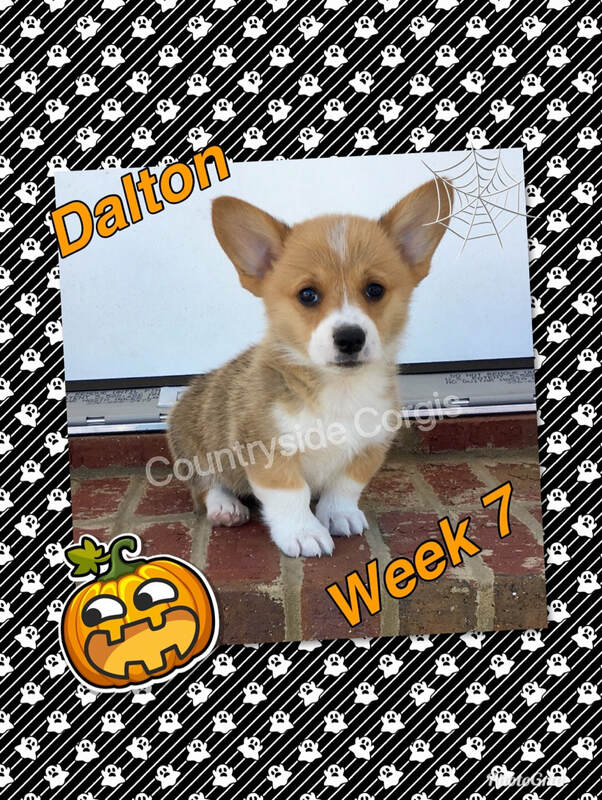 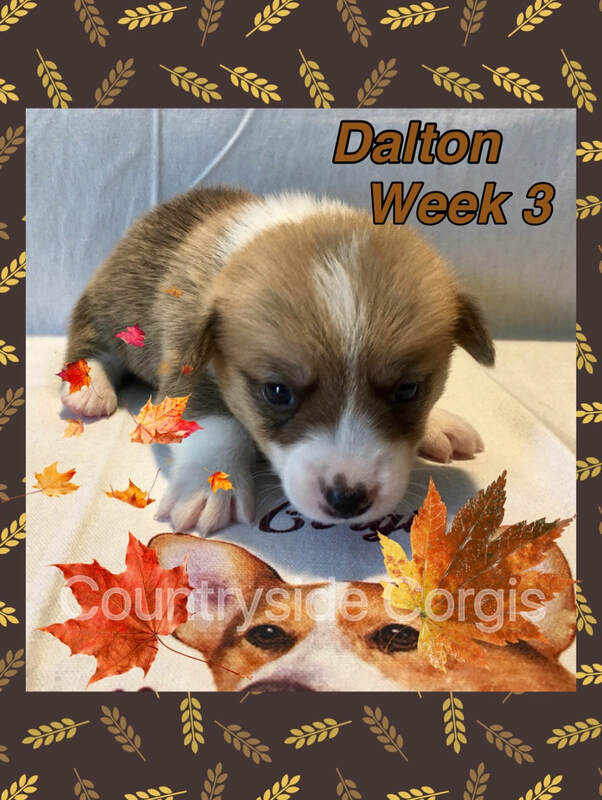 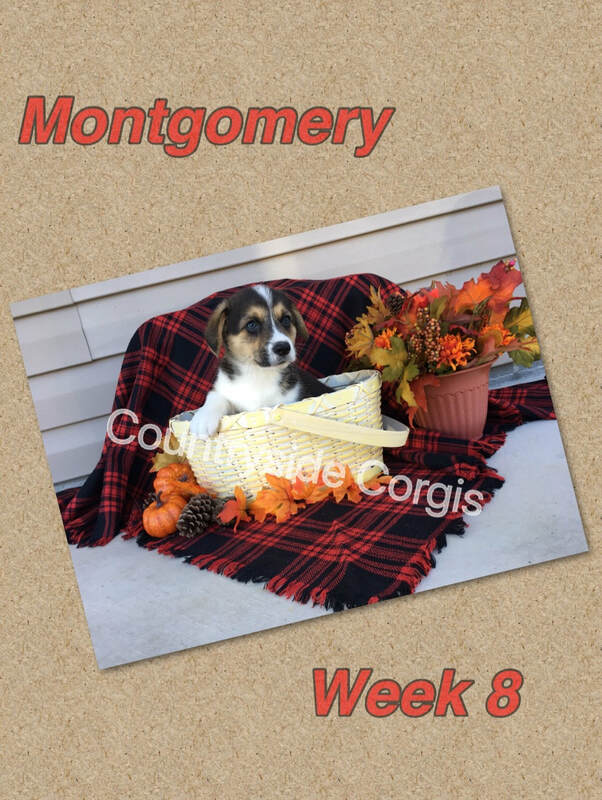 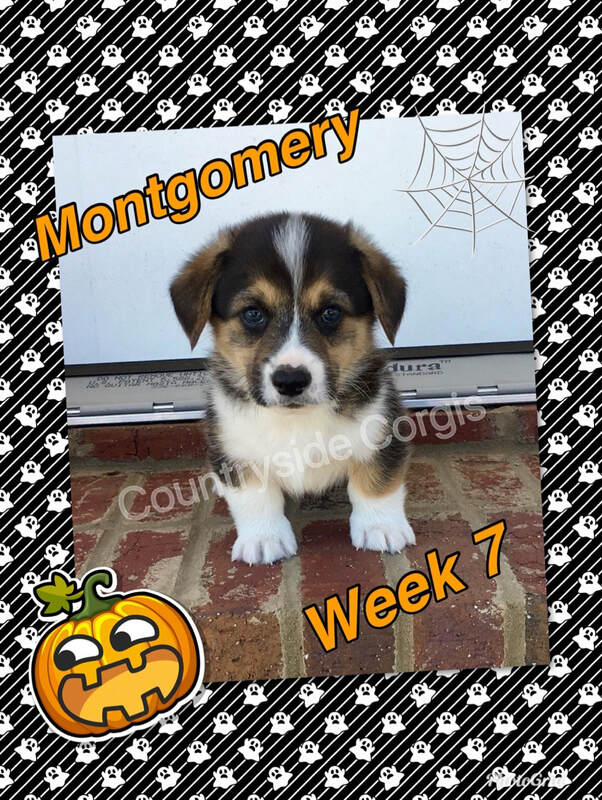 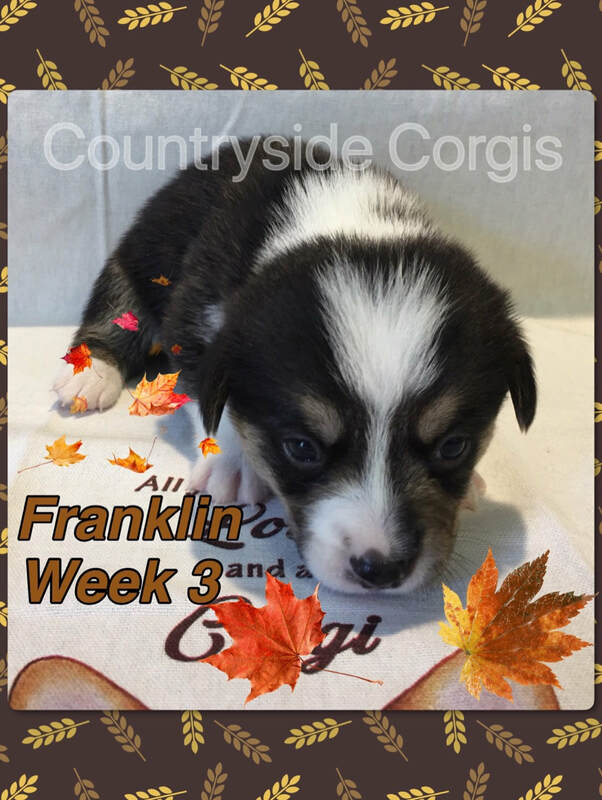 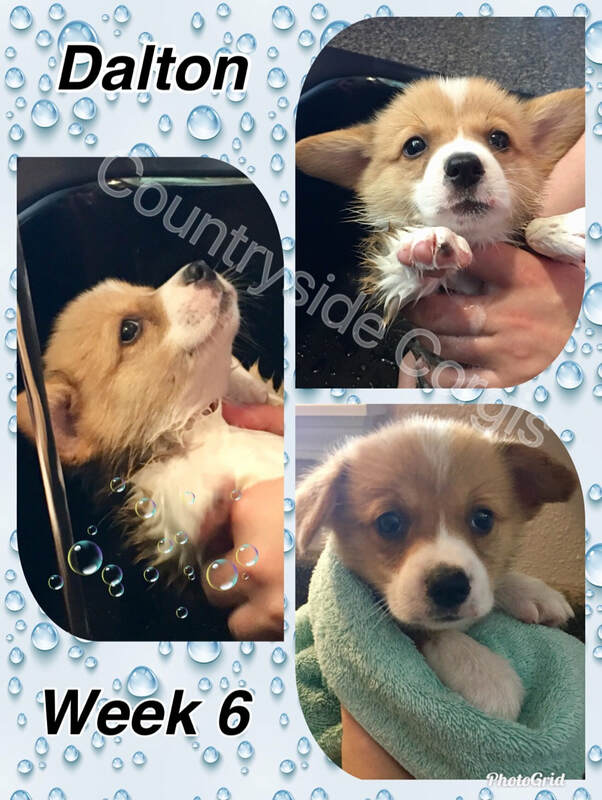 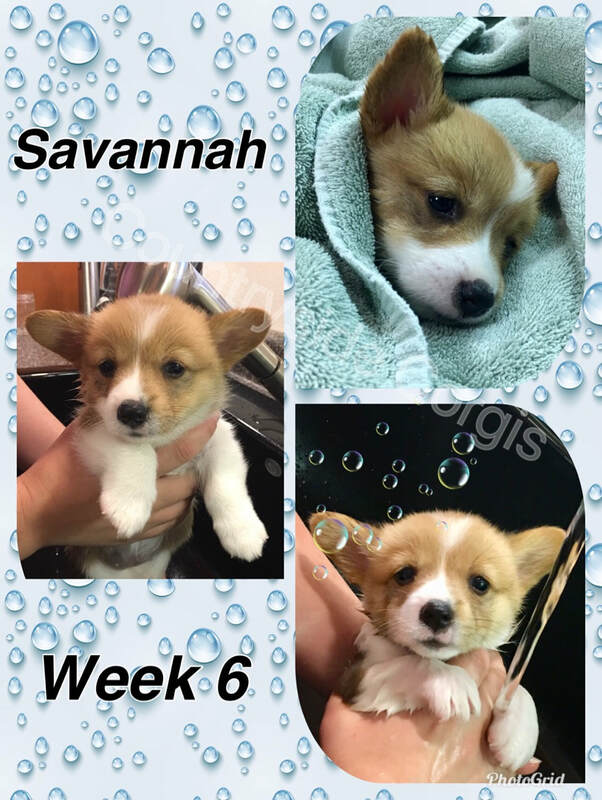 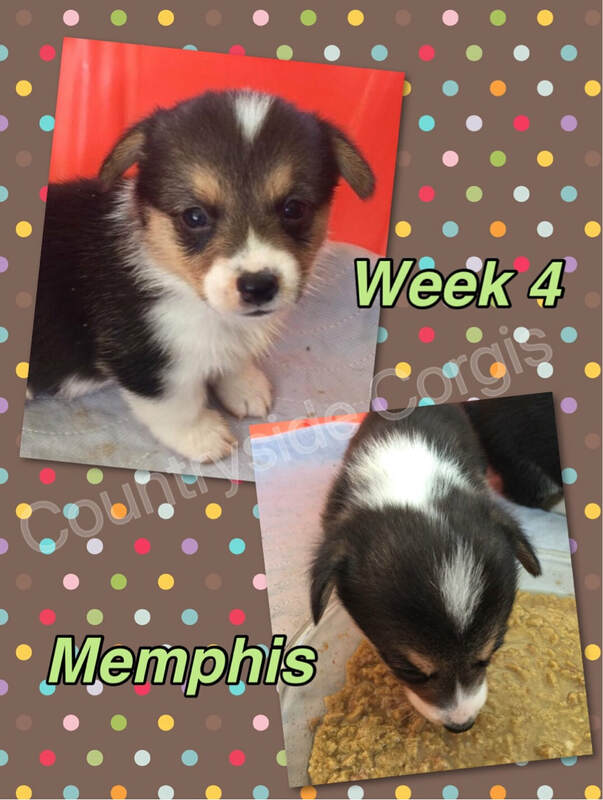 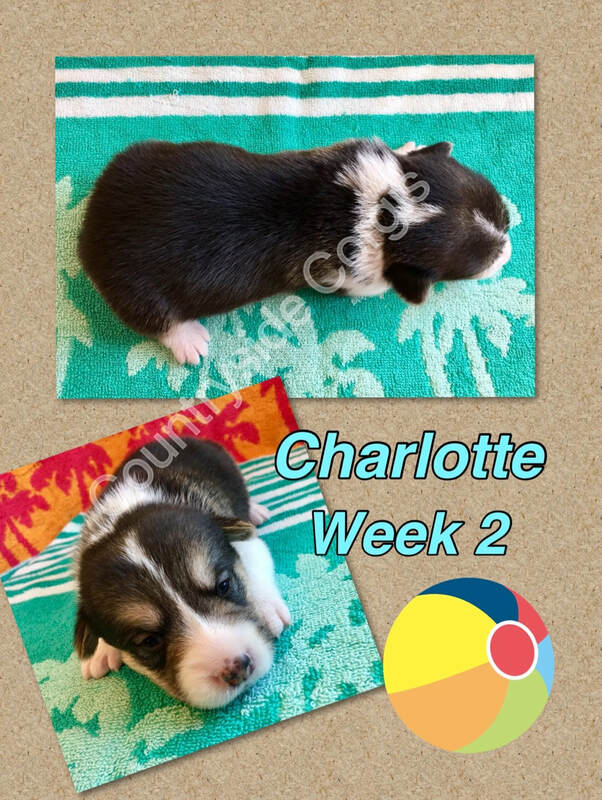 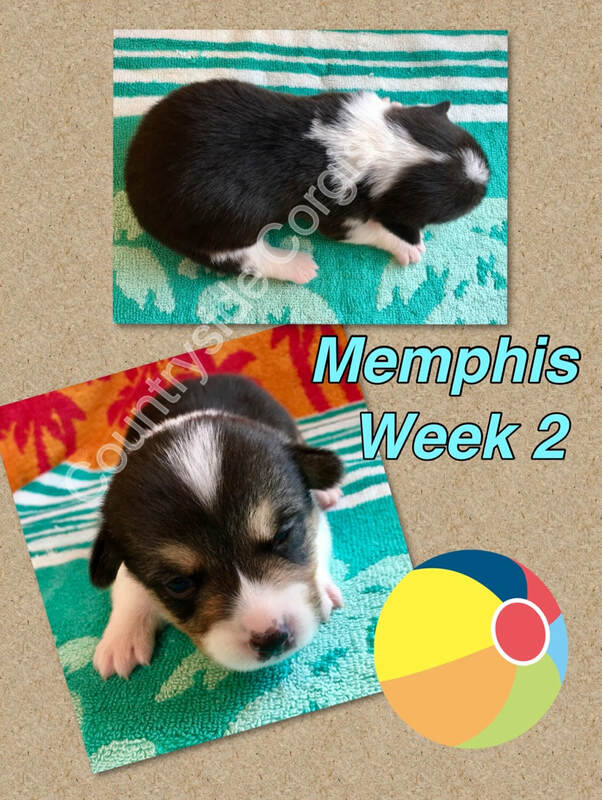 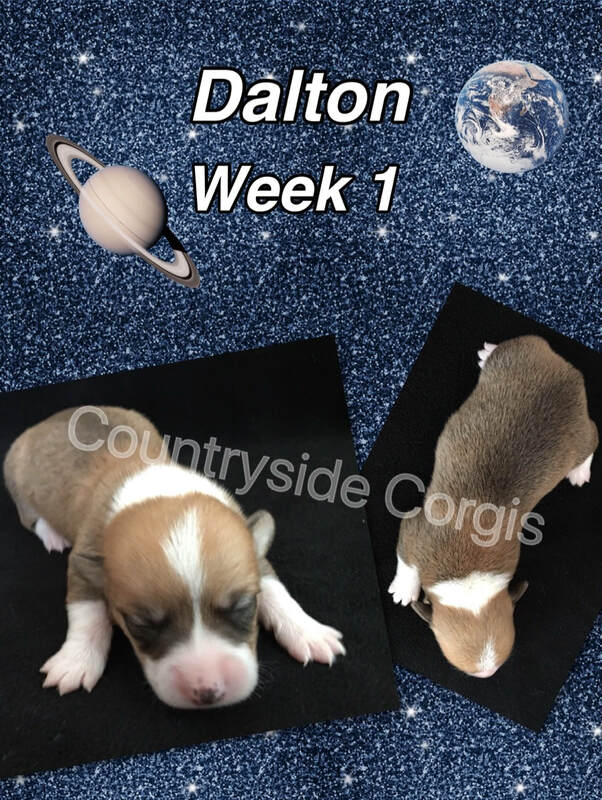 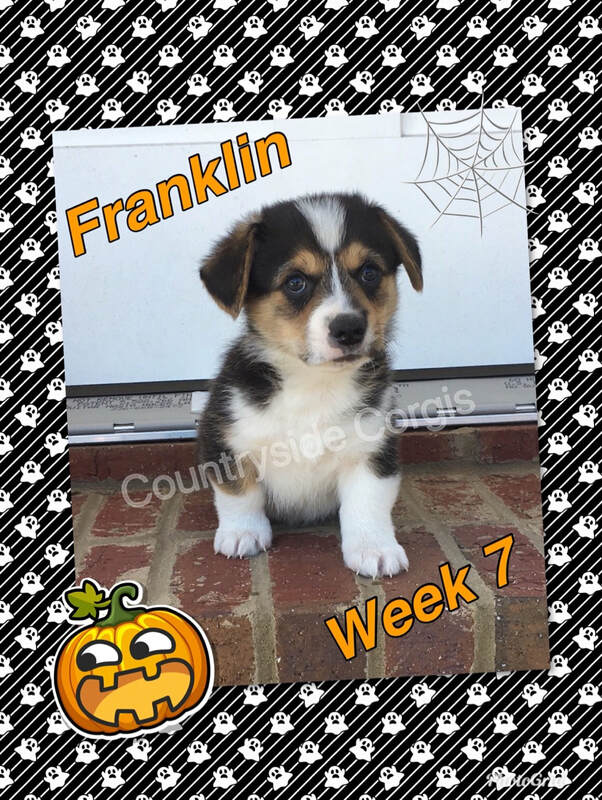 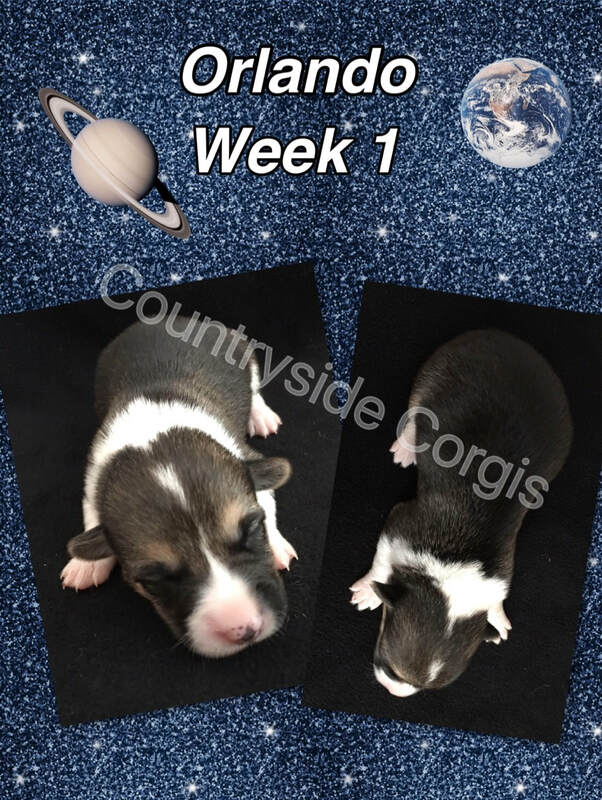 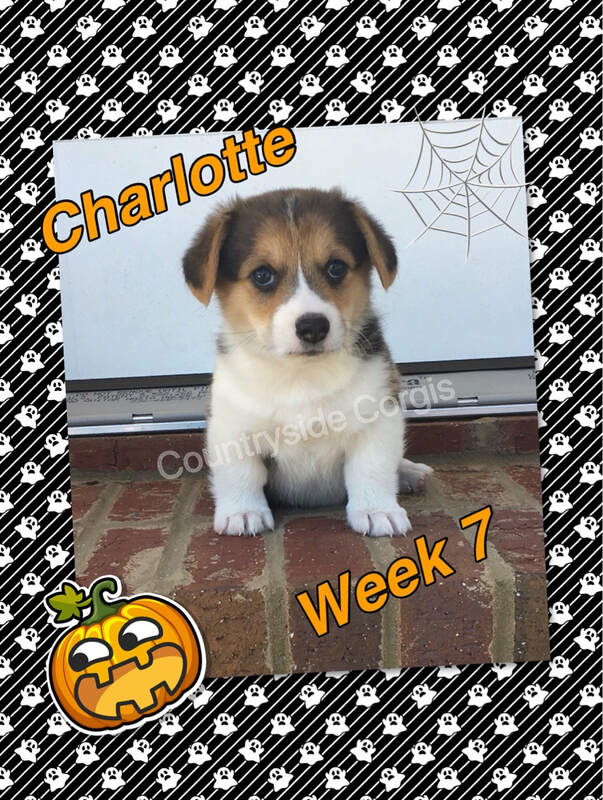 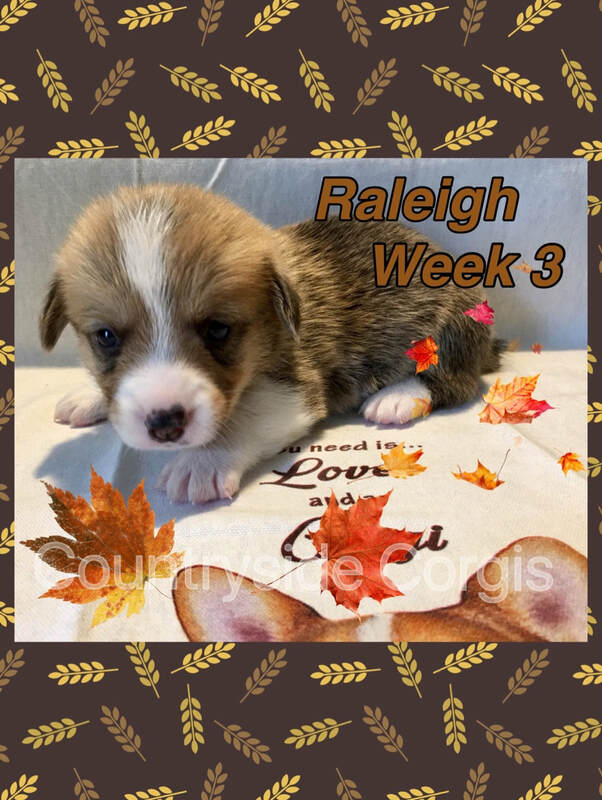 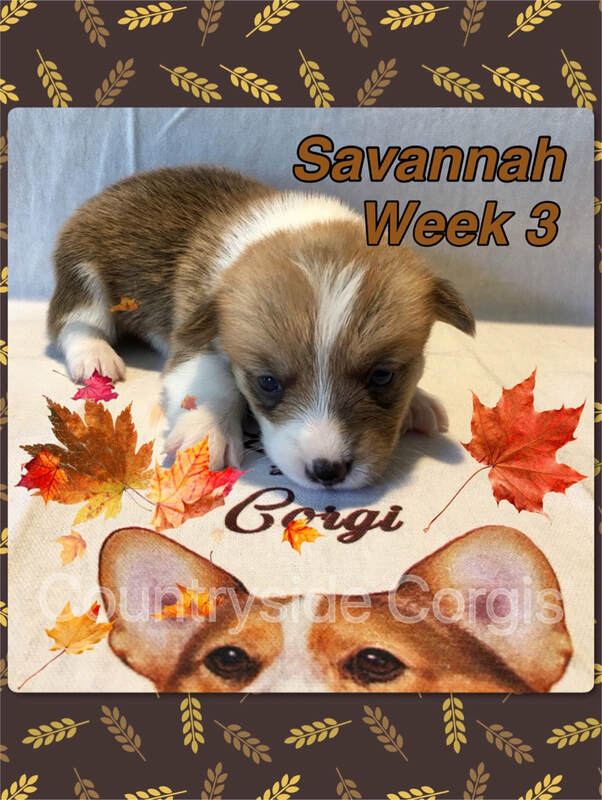 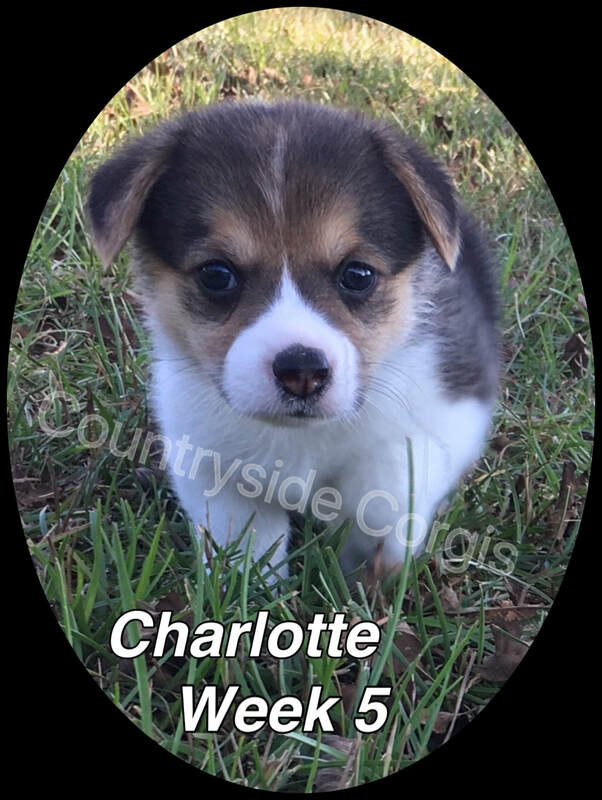 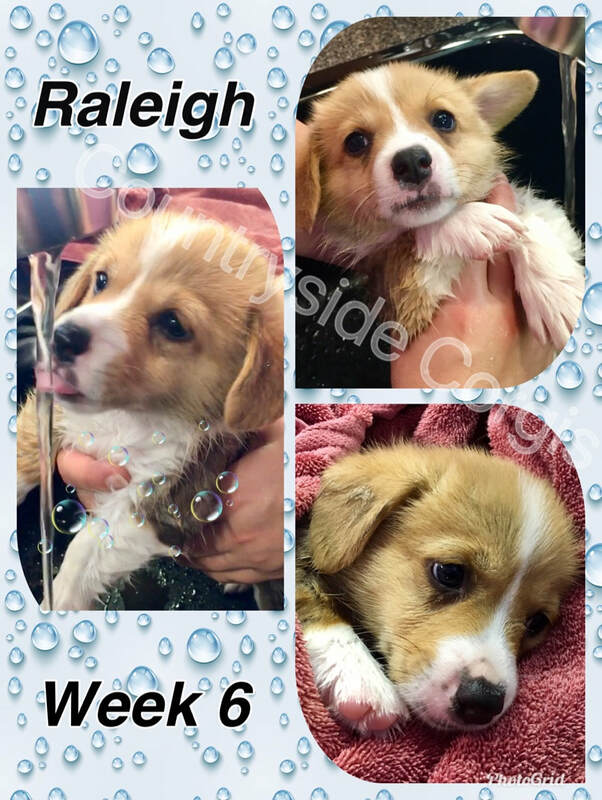 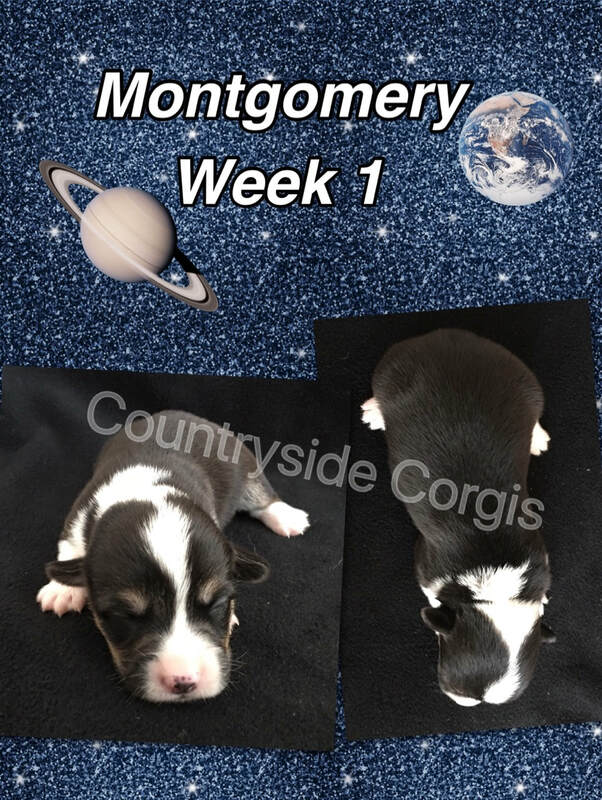 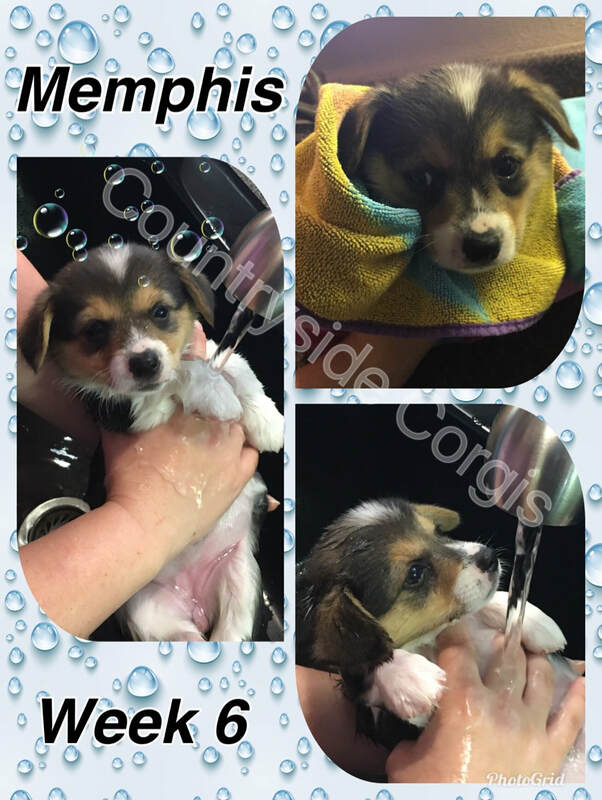 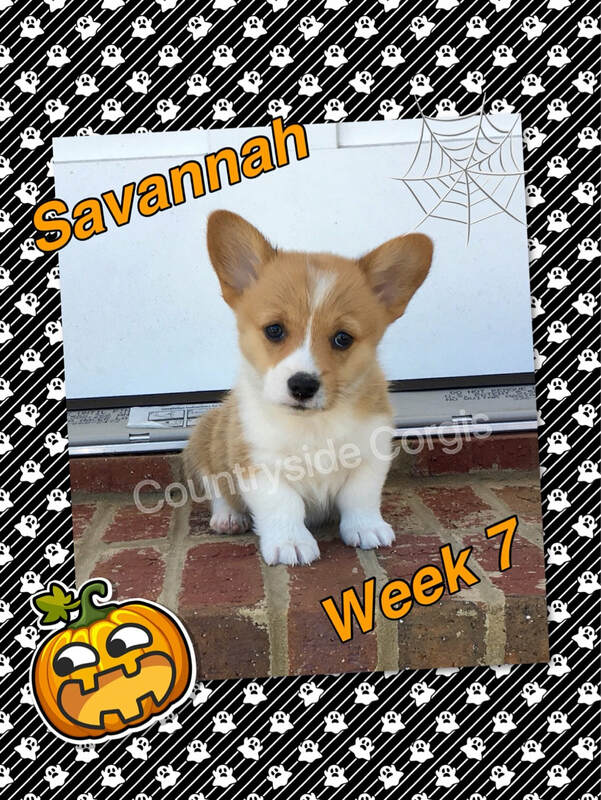 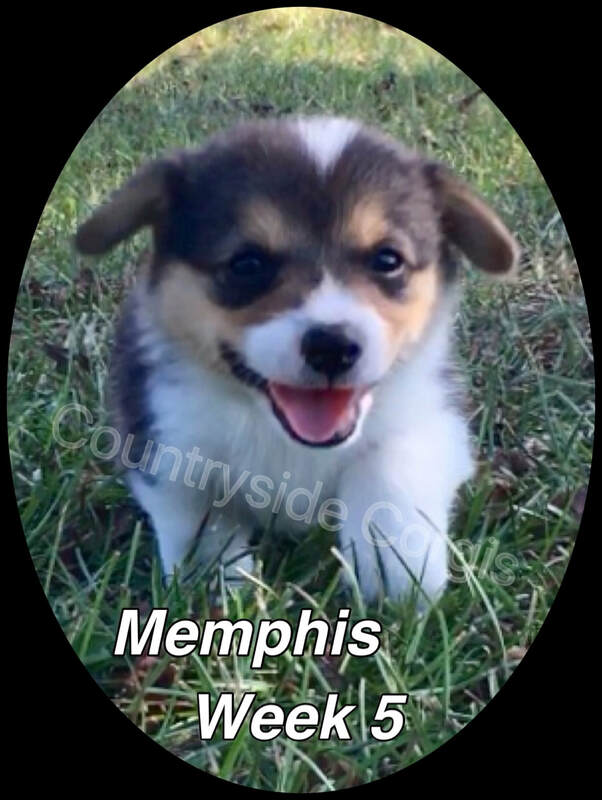 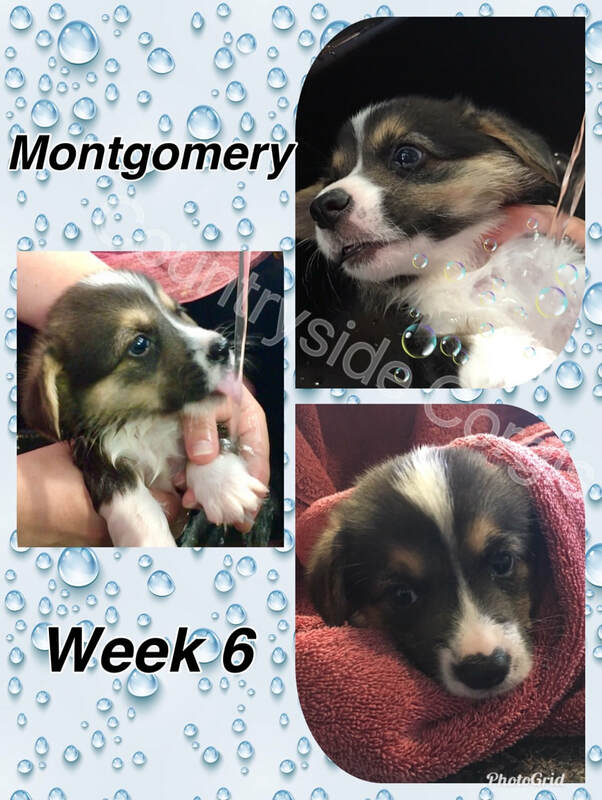 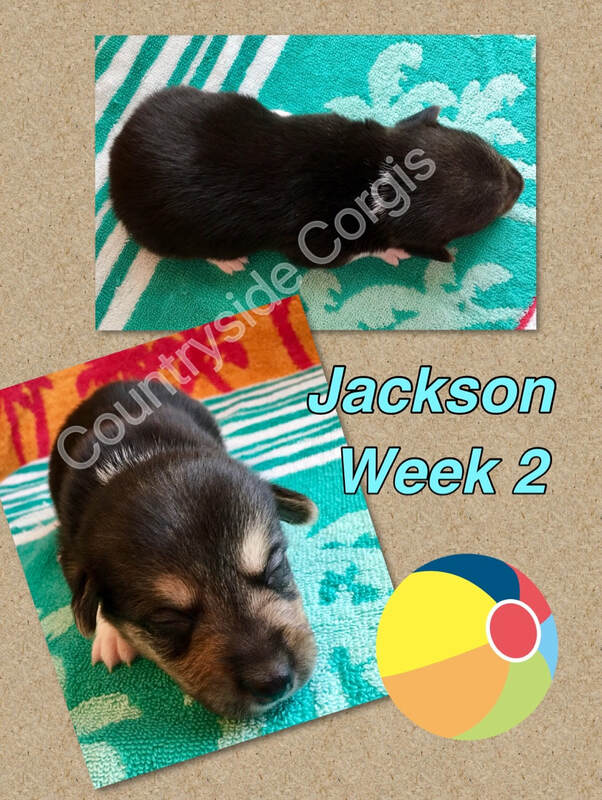 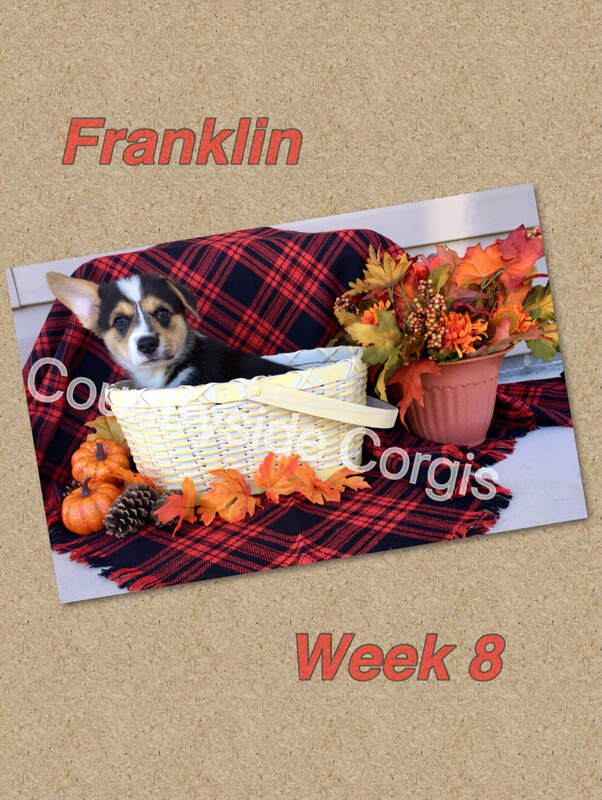 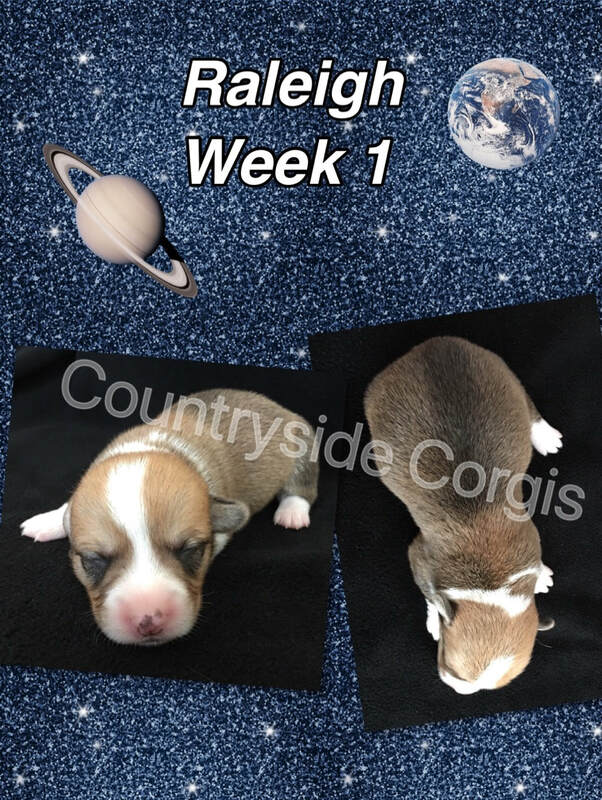 ​ Cities of the Southeastern U.S.
Week 2 has seen the puppies growing bigger by the day! 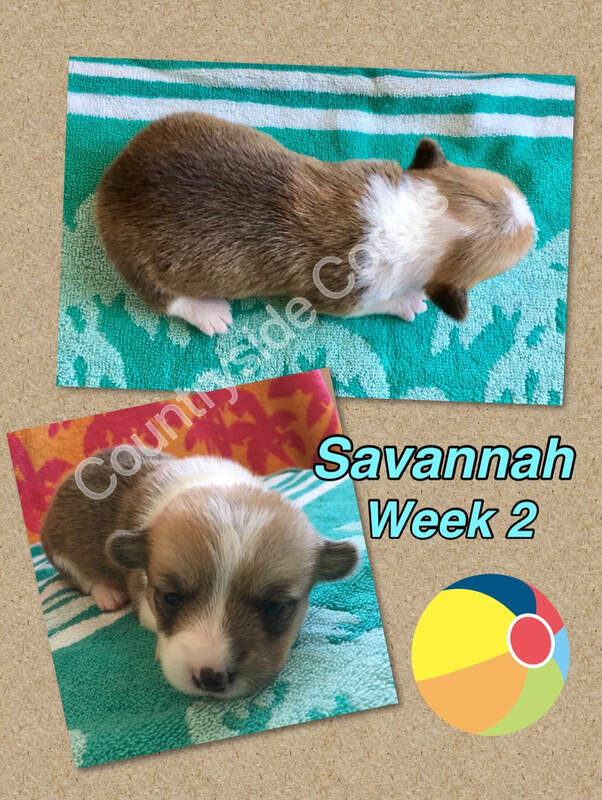 Some have had their eyes begin to open...first one eye, then the other. 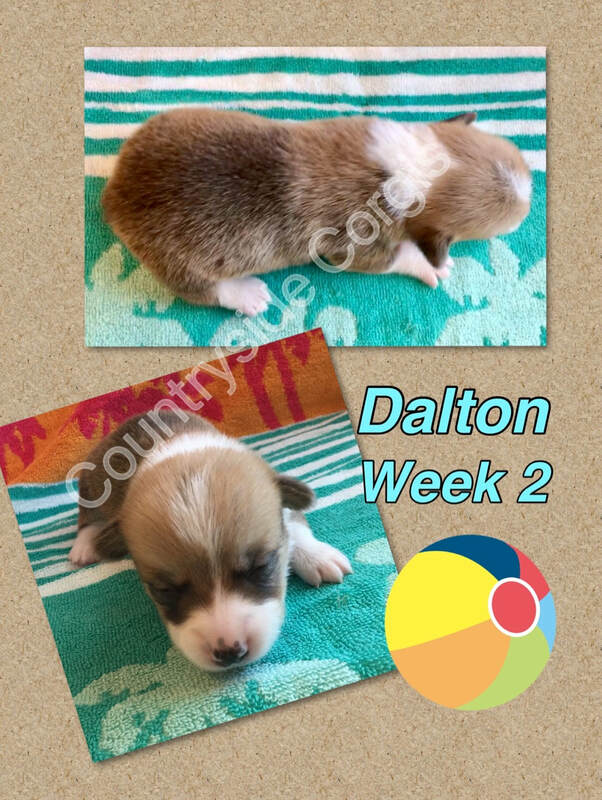 It's so precious to be able to watch them view the world for the first time. 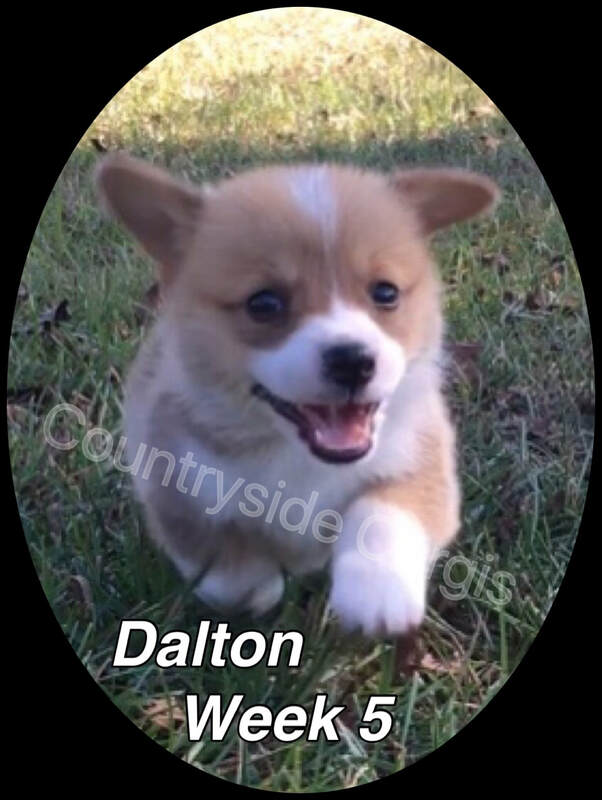 They have also begun to get more vocal by barking little baby barks and a few even howling, so cute! 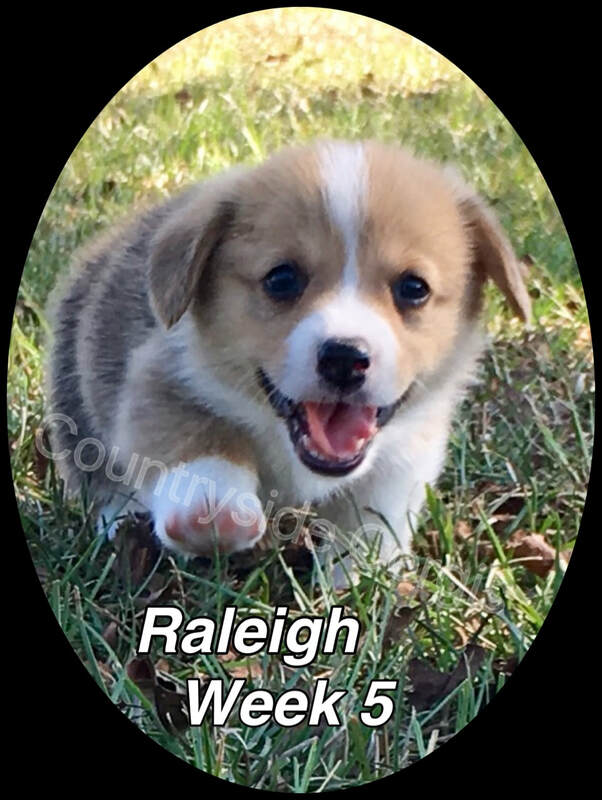 Week 3: The puppies are up and walking around! 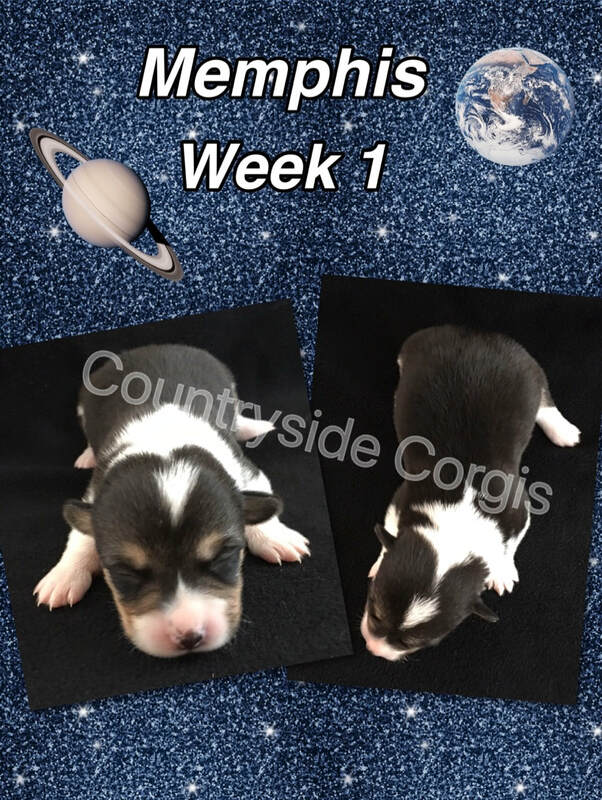 They have moved out of their whelping box and into the puppy playpen, which offers more room to move around to strengthen their leg muscles & improve their coordination. 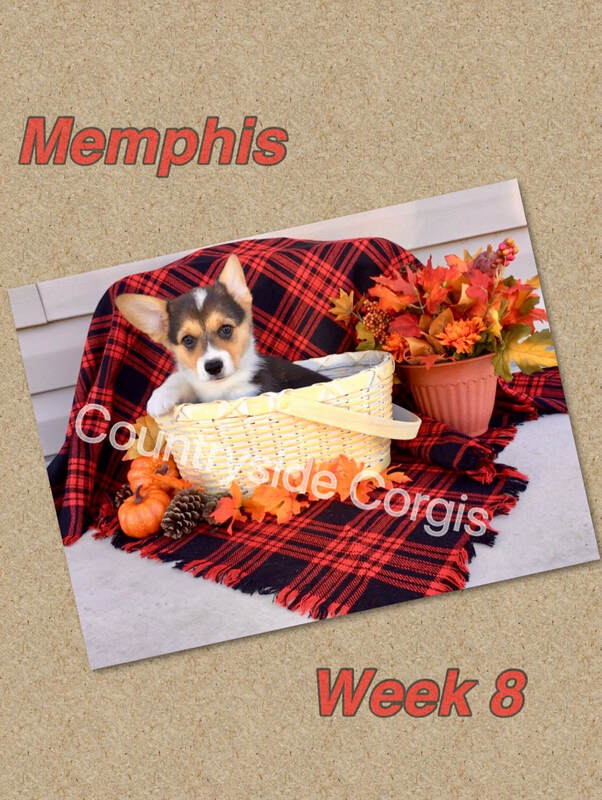 The theme for this week is "Autumn has arrived". 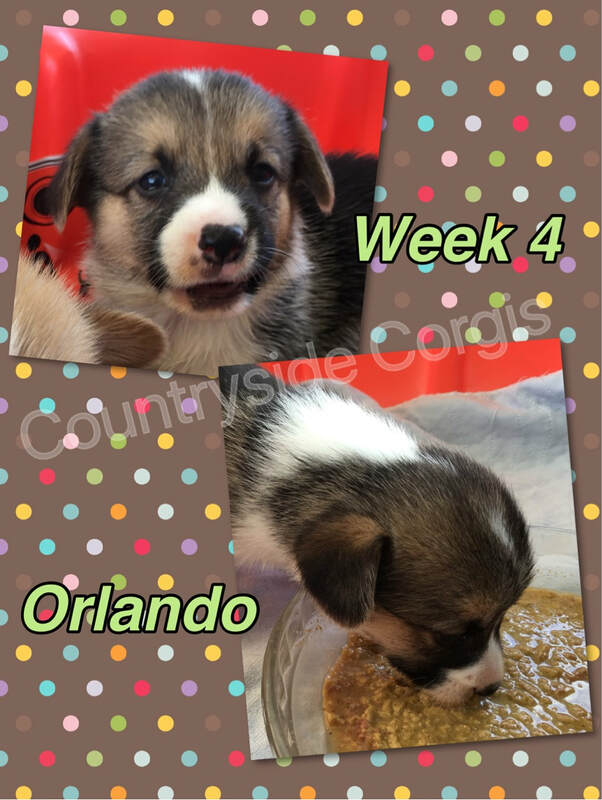 Week 4 has been very busy for Tilly’s & Loki’s puppies…they have visited with the vet for a check up and receive their first de-wormer. 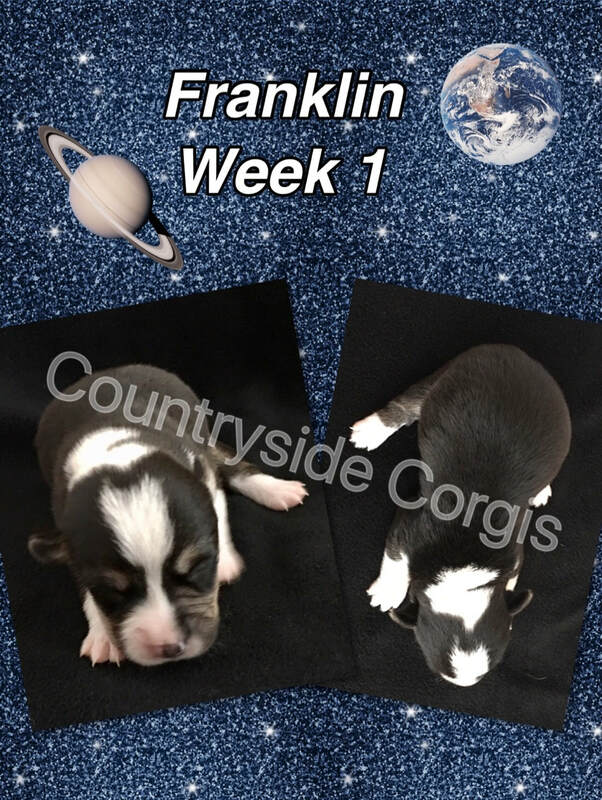 They were all pretty uniform in size, with each one weighing between 1.6 & 1.7 lbs. 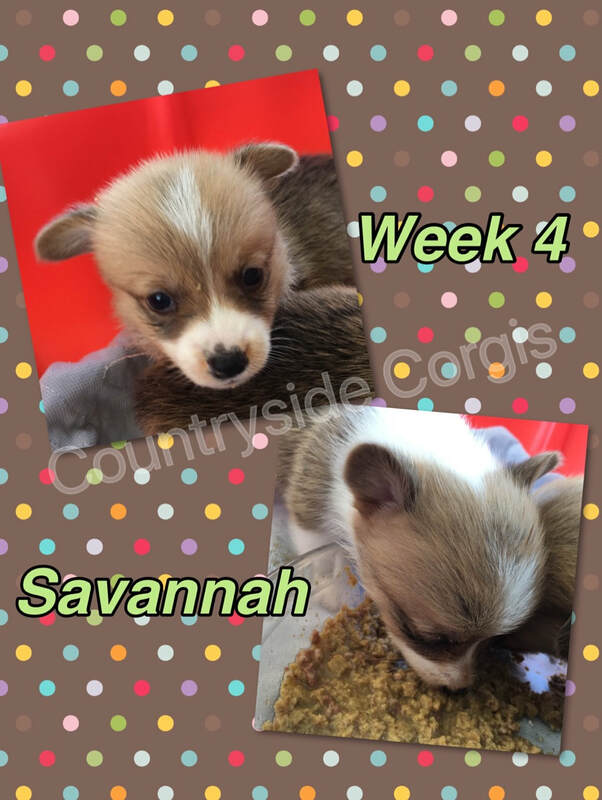 They have also begun the weaning process and were introduced to semi-solid food. 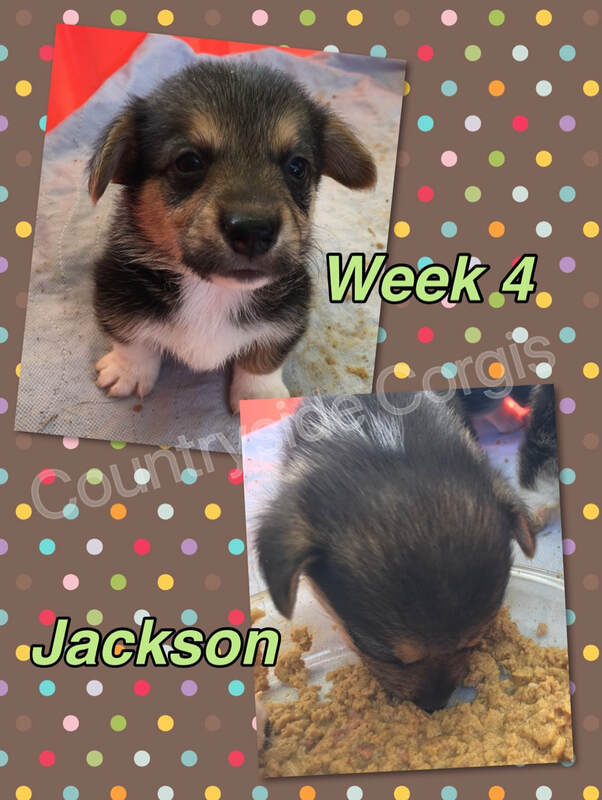 They enthusiastically gobbled it up!! 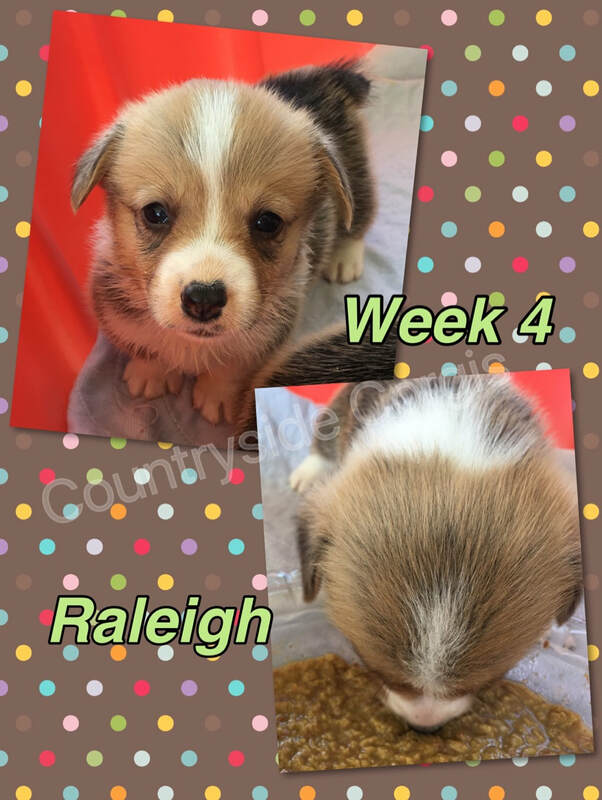 They have also learned how to drink fresh water from a ceramic bowl. 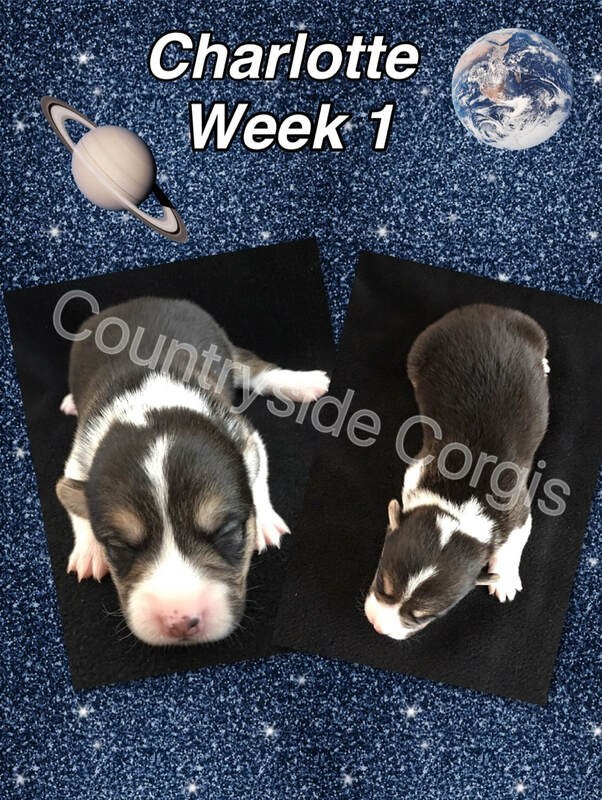 Week 6 has been loads of fun for Tilly & Loki’s puppies as they have been learning to play with new toys…everything from ropes, to keychains, to unstuffed pals & Pork Chomps. 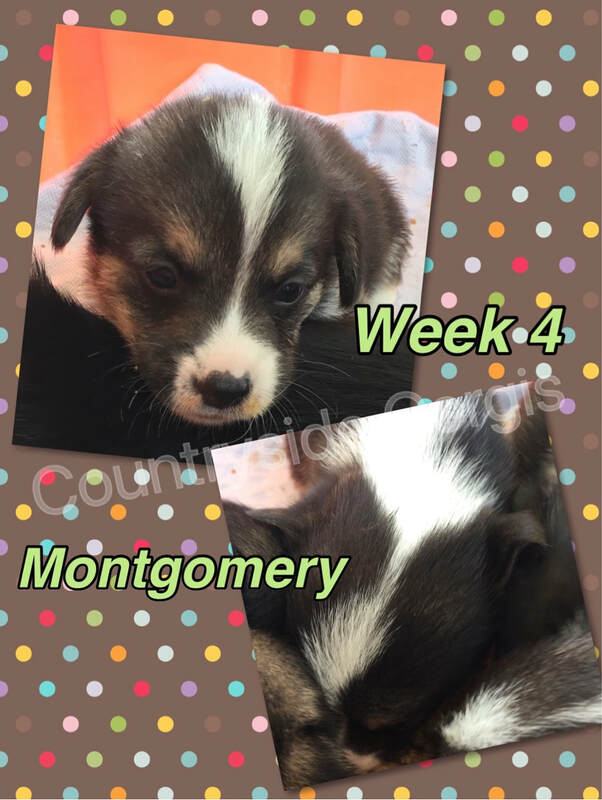 They have also learned to sleep through the night! 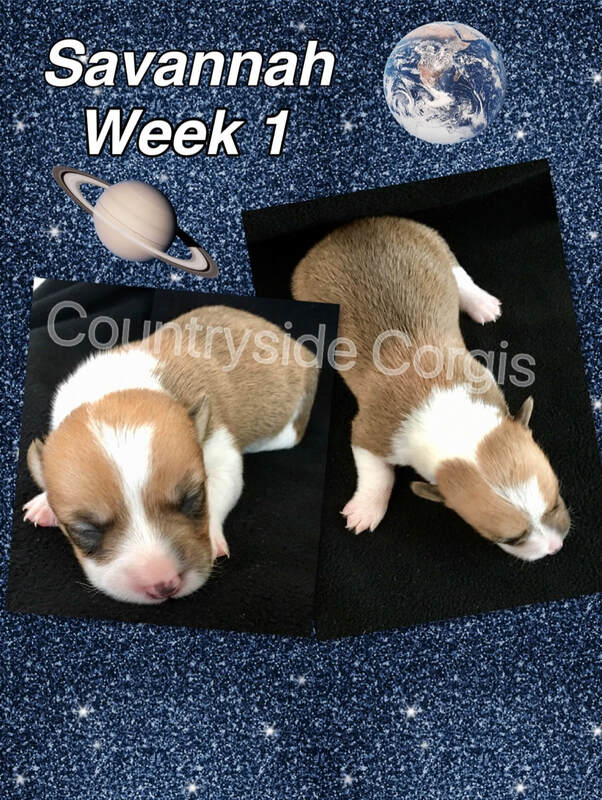 Week 7 brought Tilly & Loki's puppies to the vet once again. 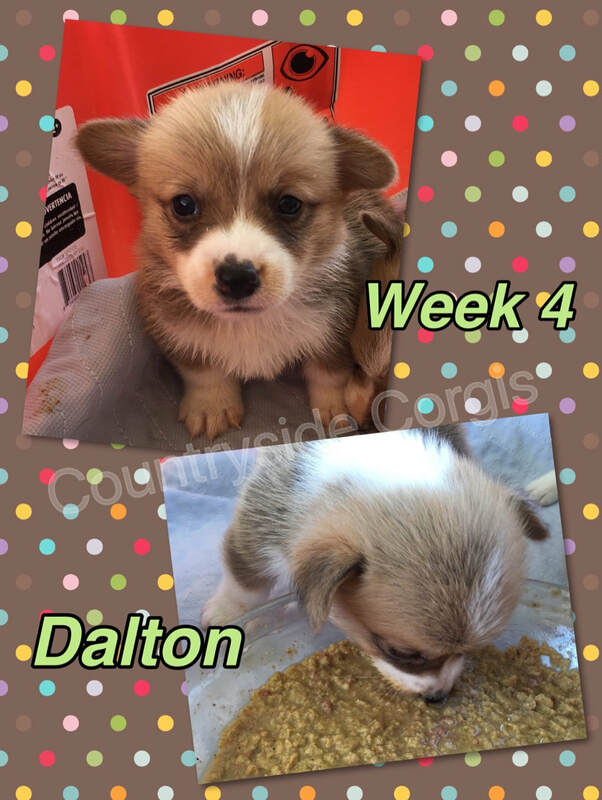 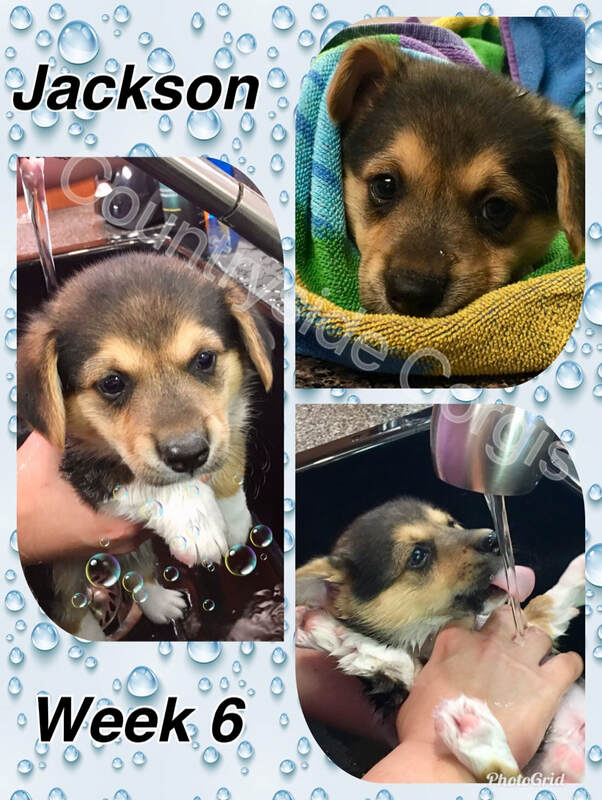 They got their second round of de-wormer and their first distemper/parvo vaccine. 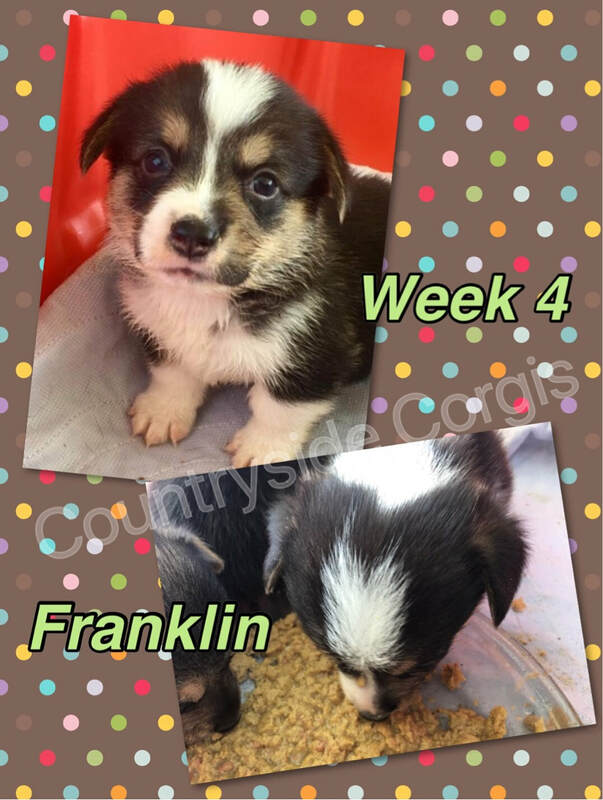 Everyone is growing well, with weights ranging from 5 lbs to 6.5 lbs.